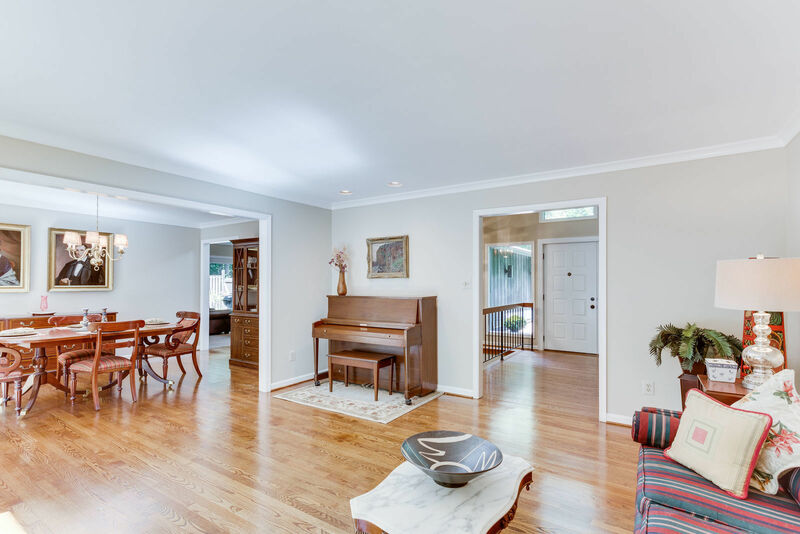 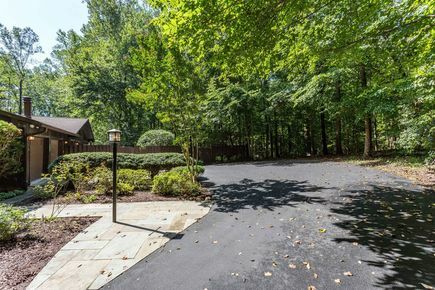 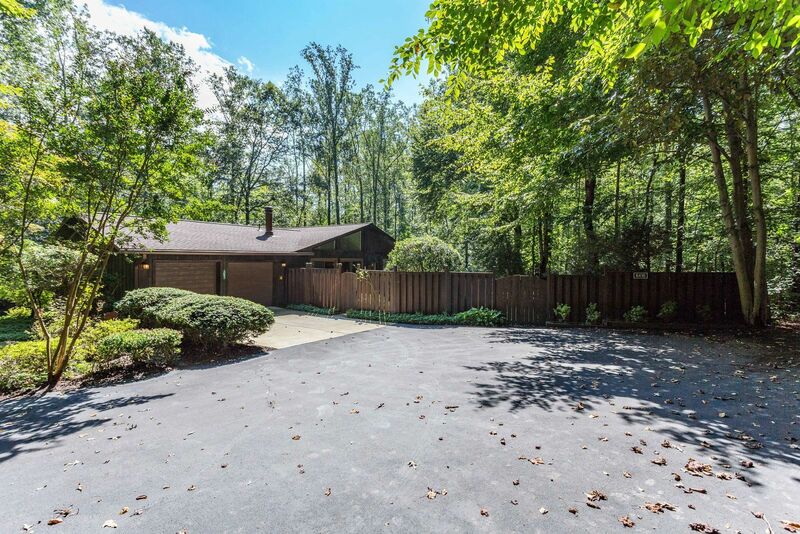 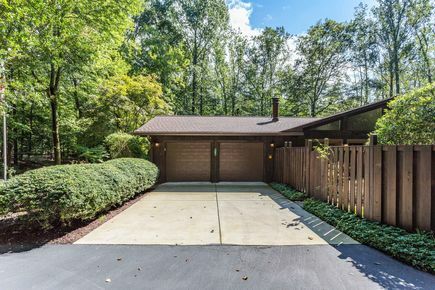 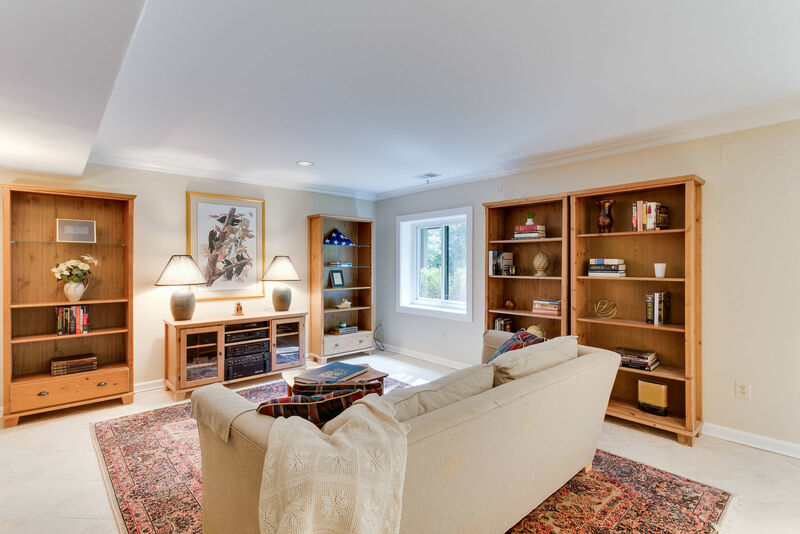 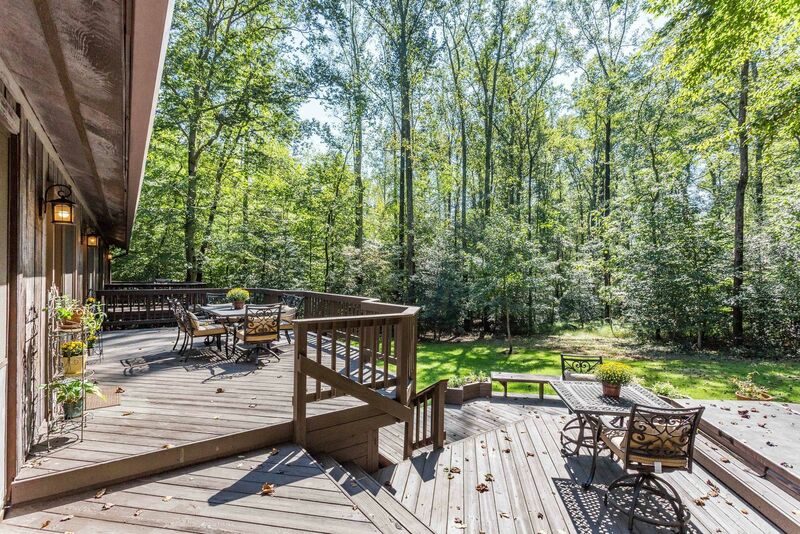 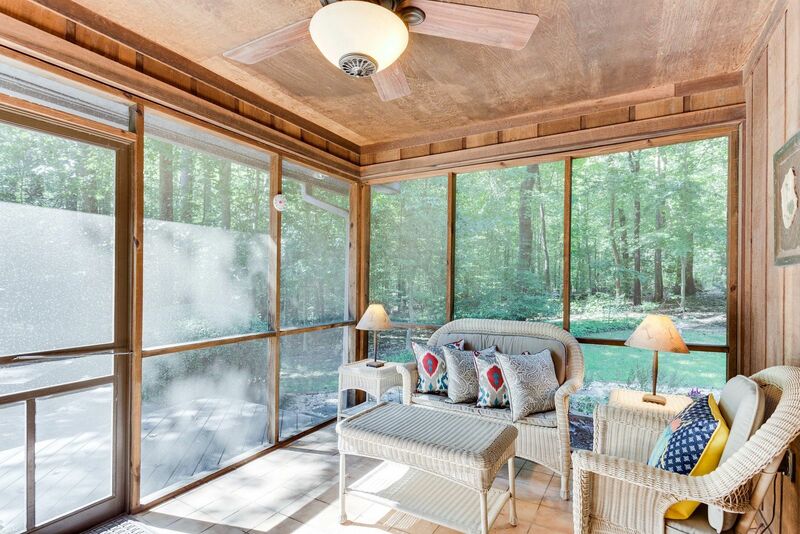 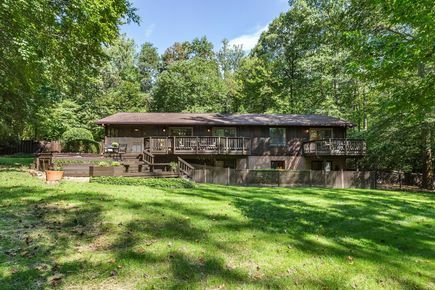 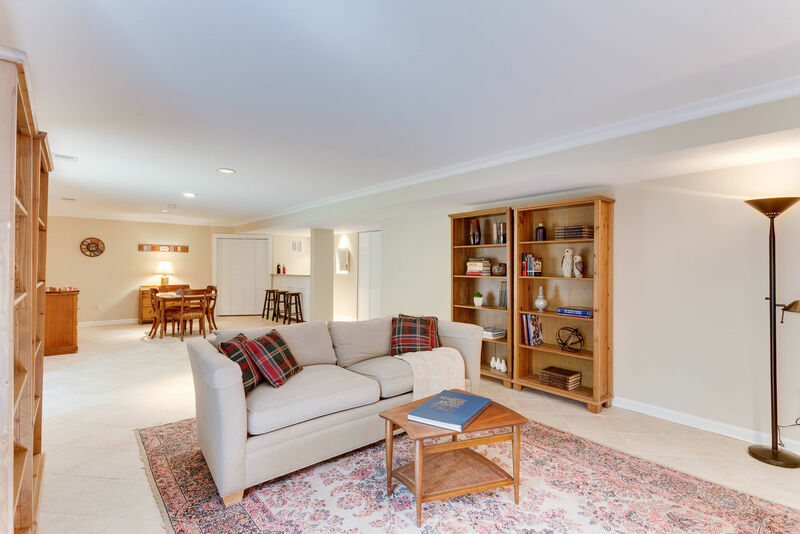 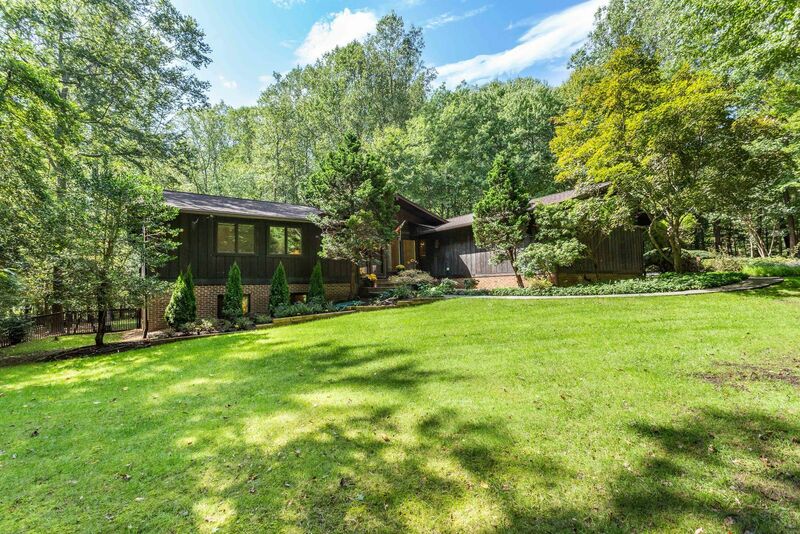 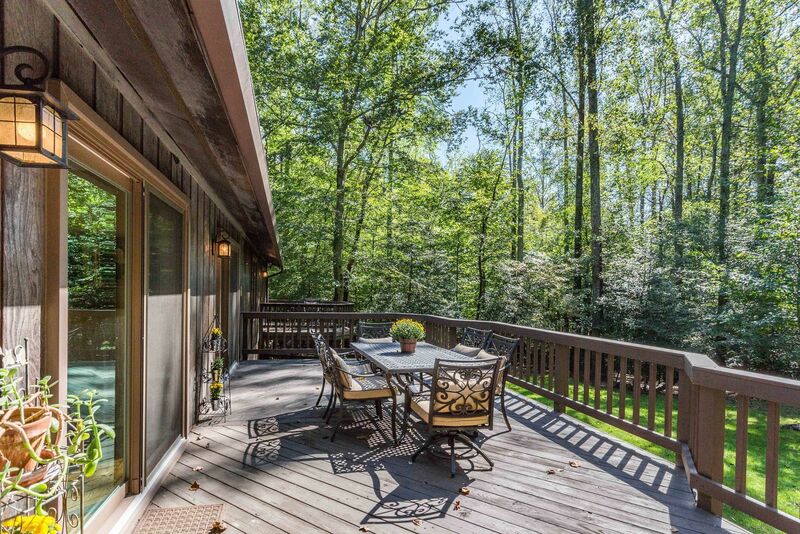 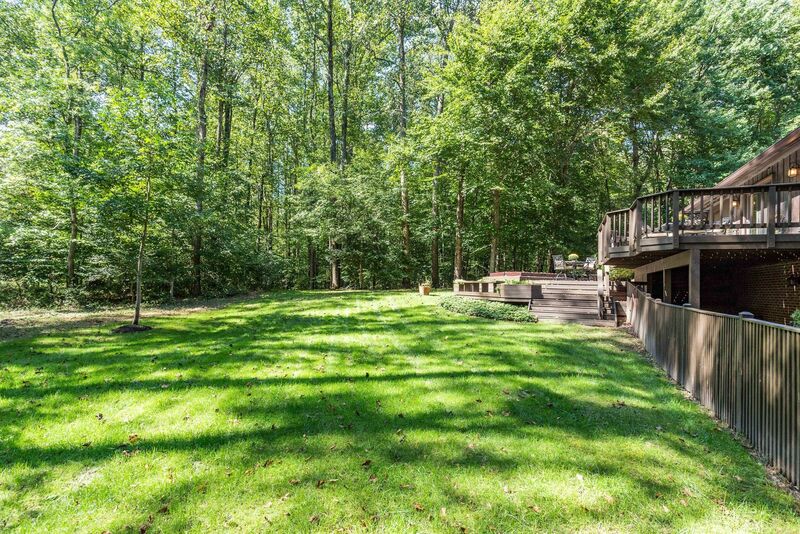 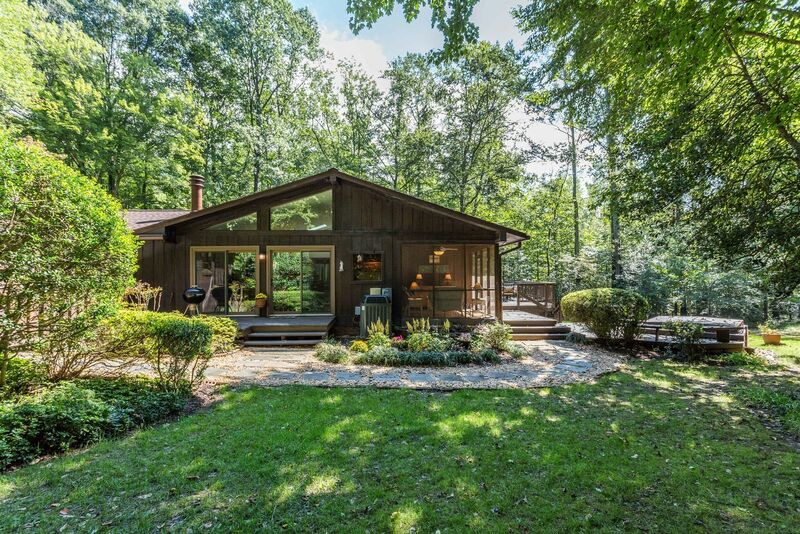 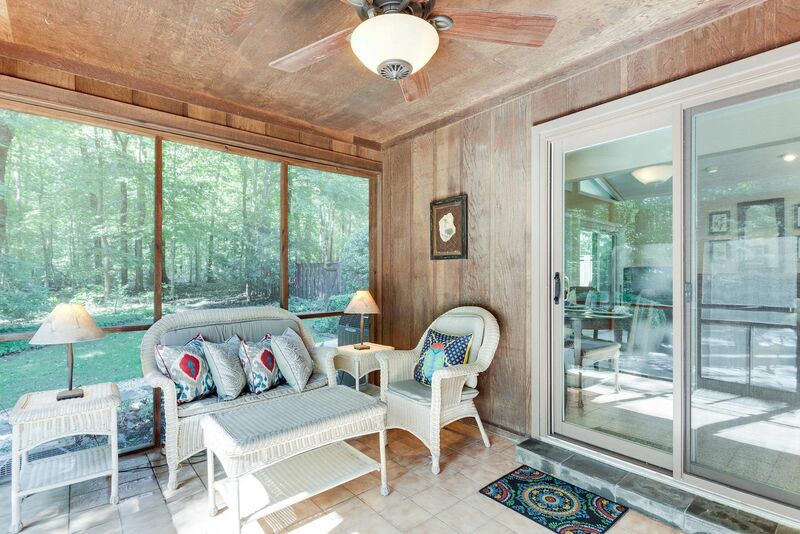 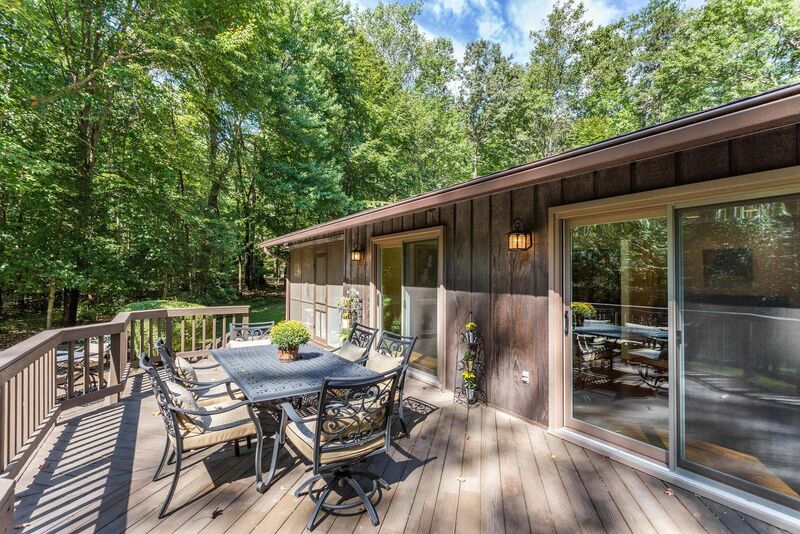 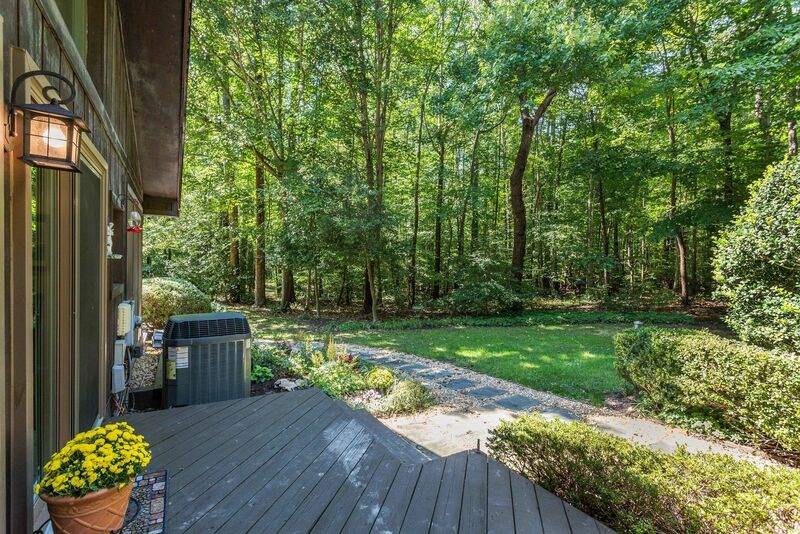 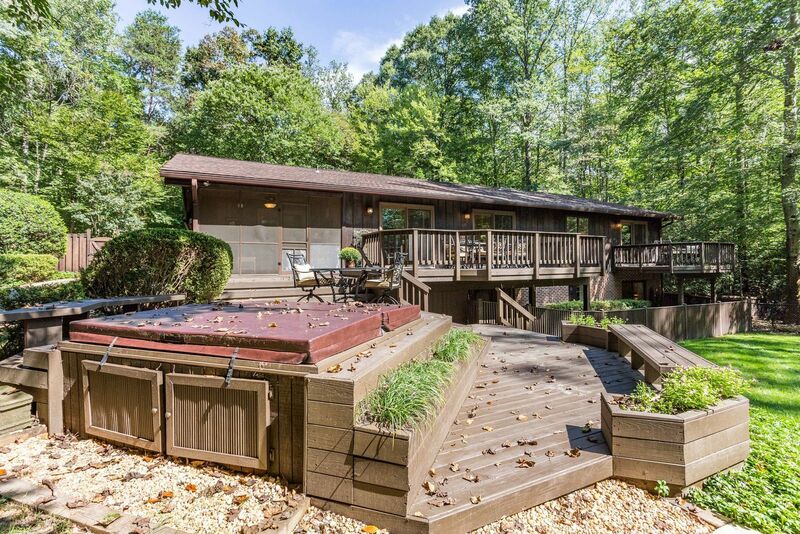 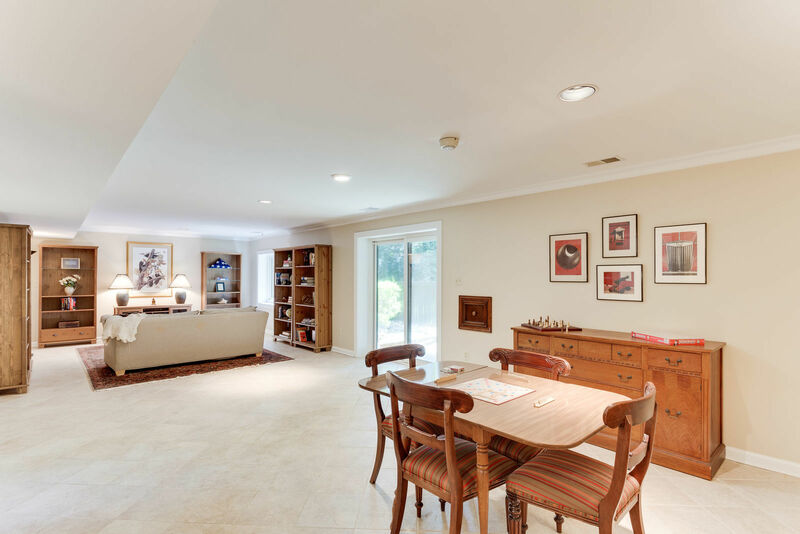 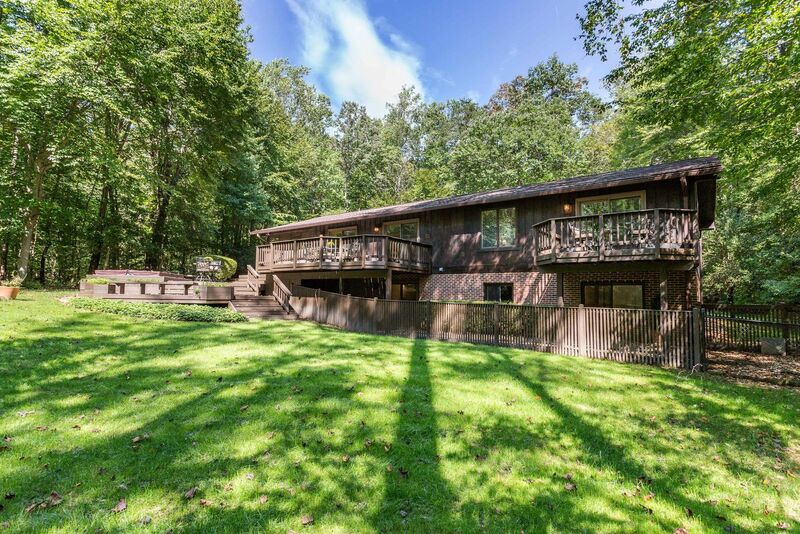 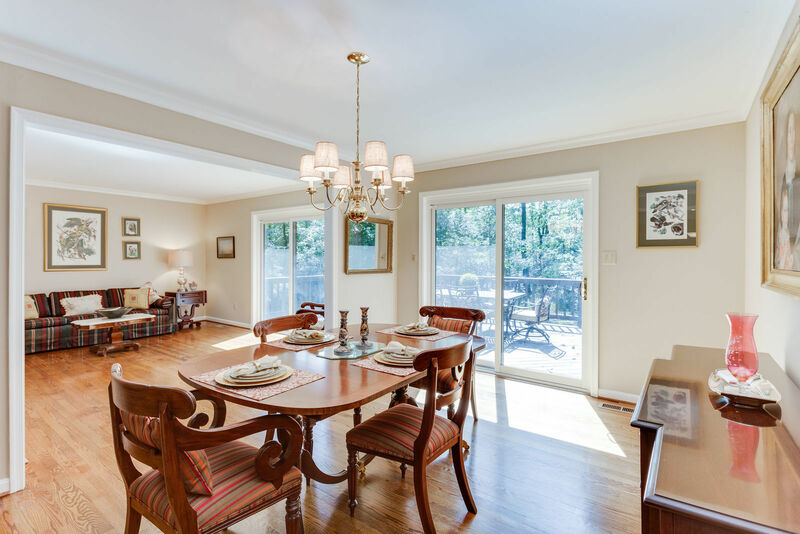 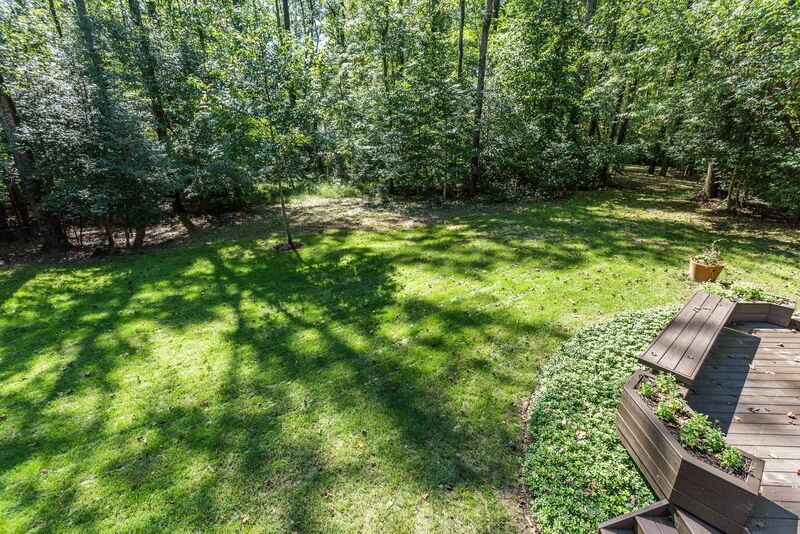 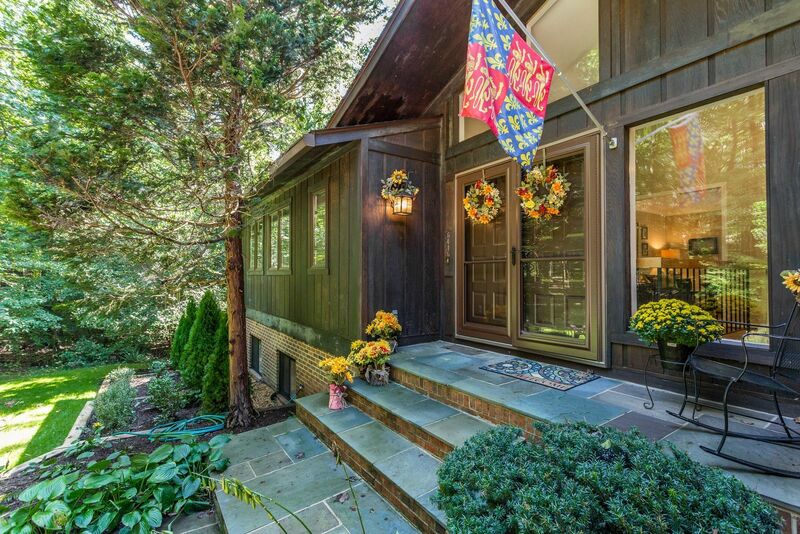 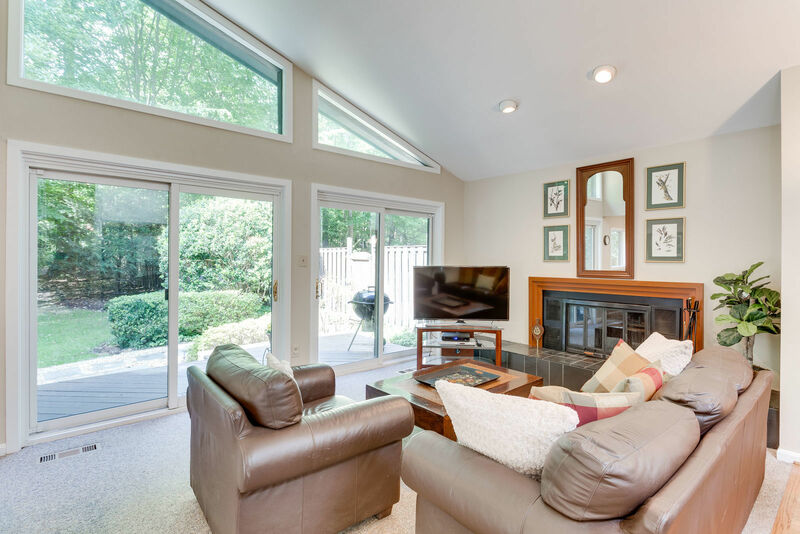 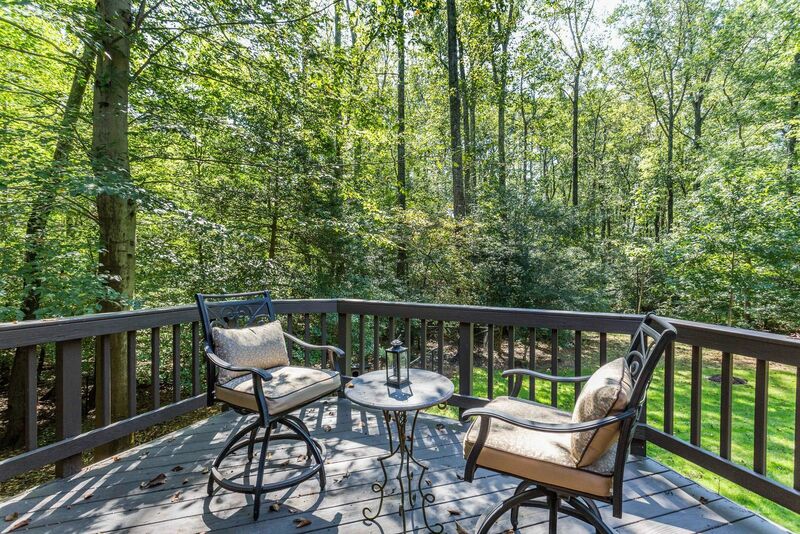 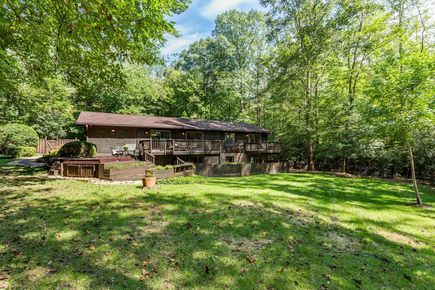 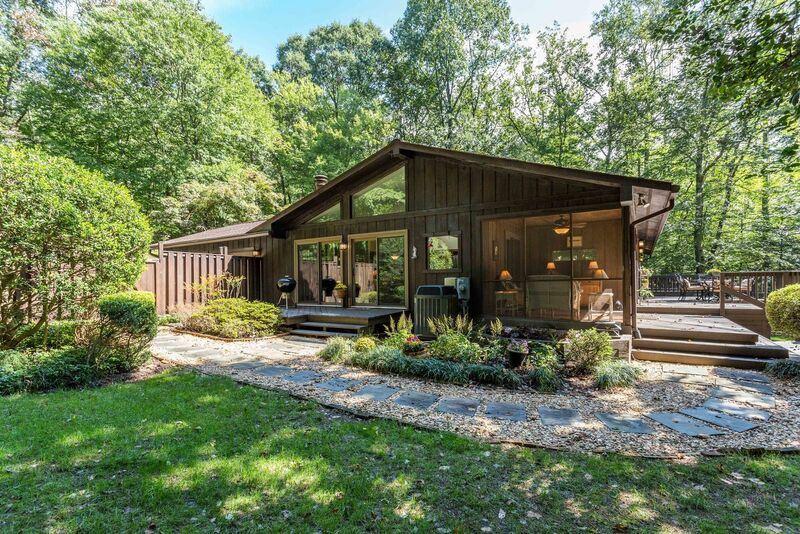 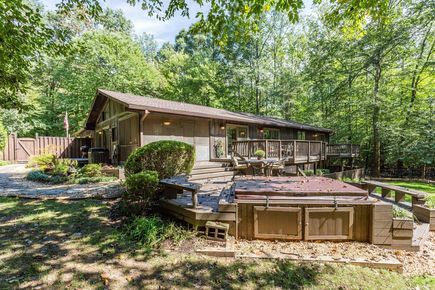 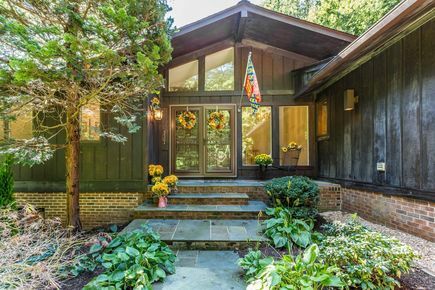 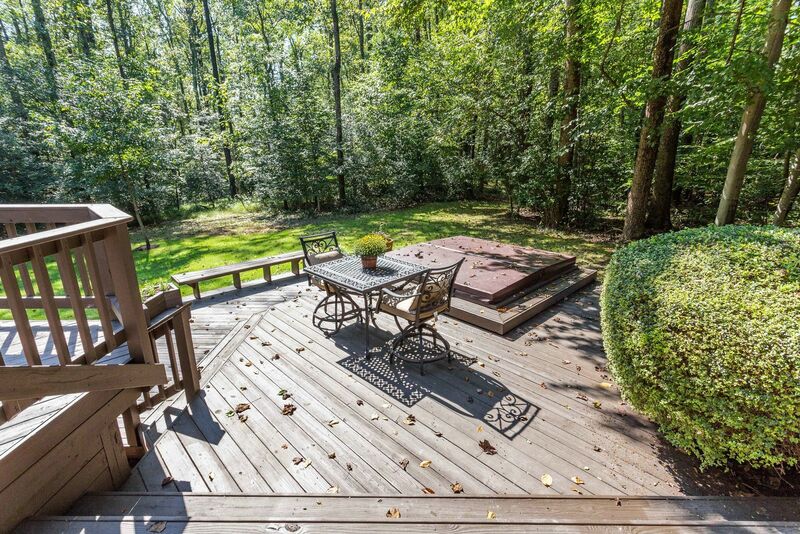 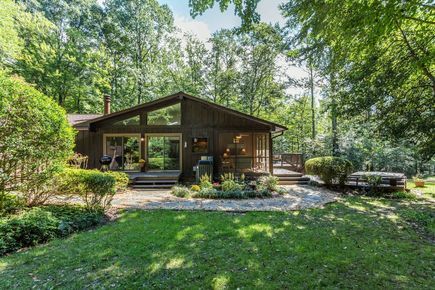 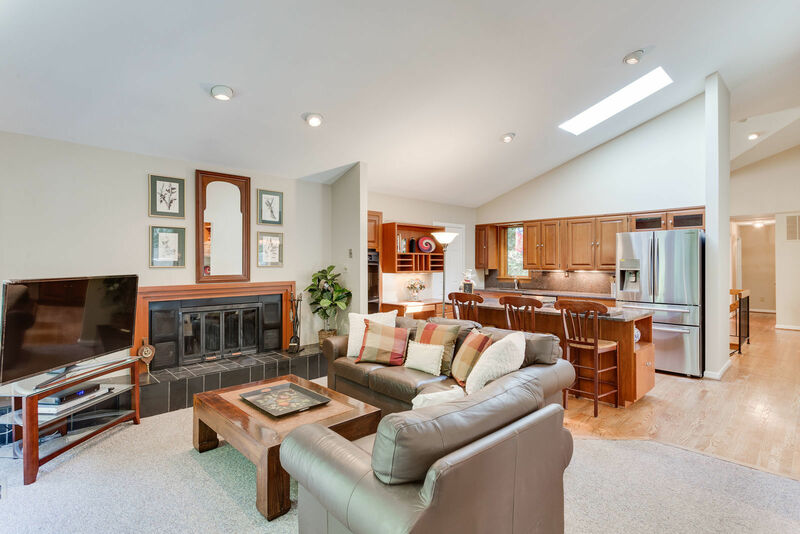 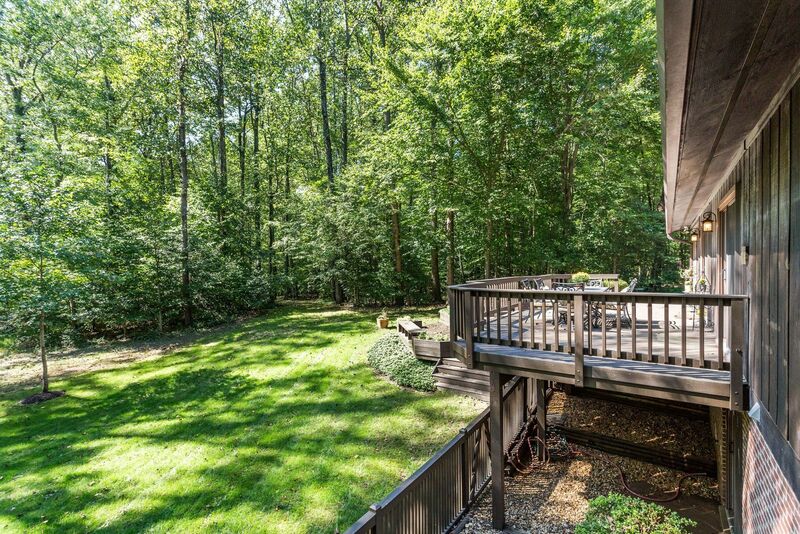 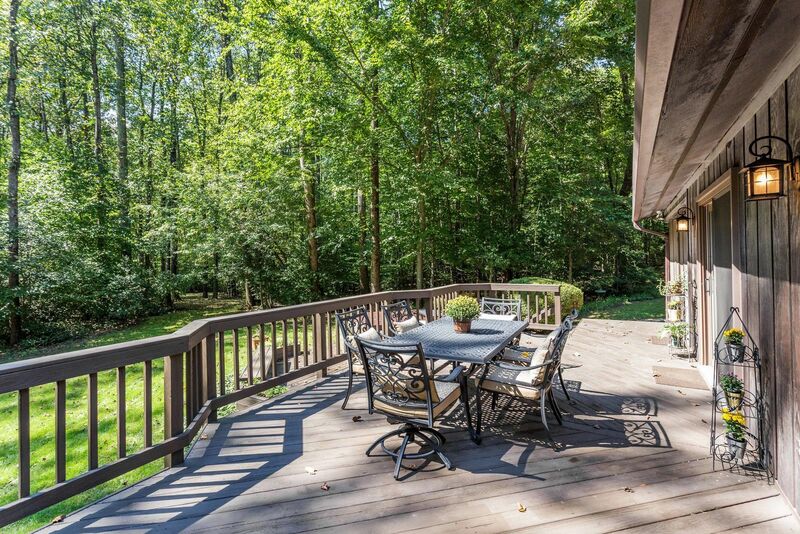 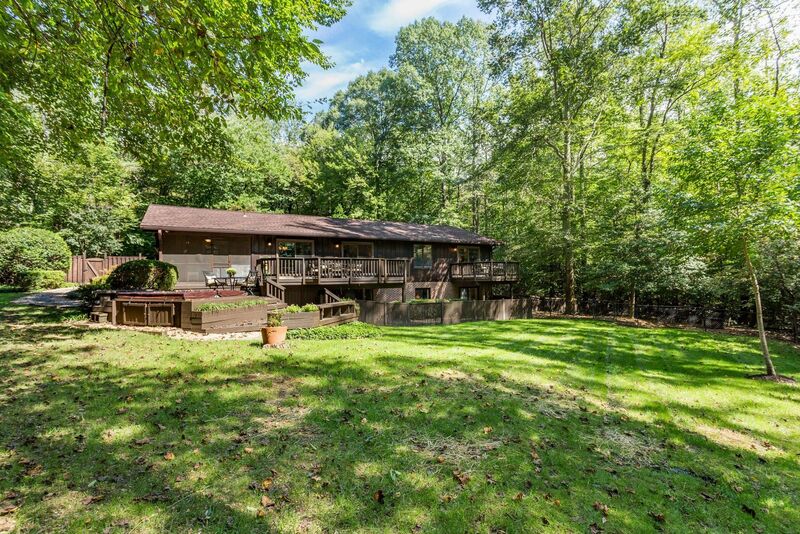 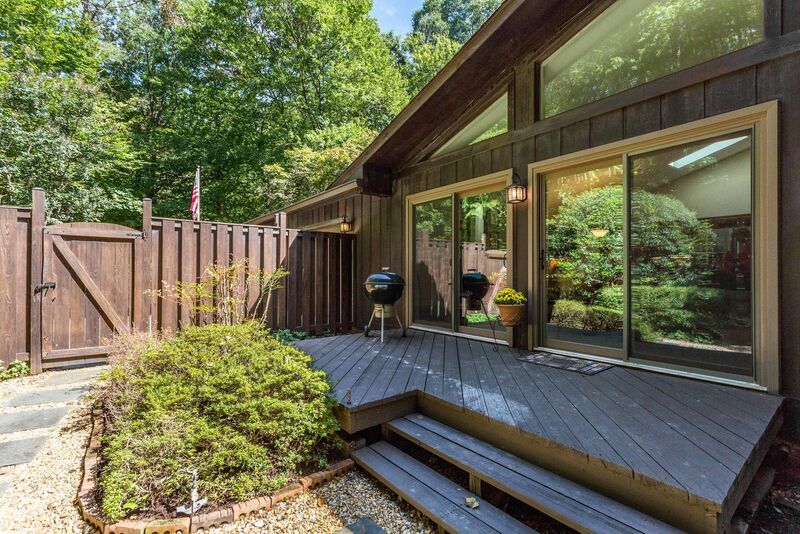 Private retreat on a tree-lined lot that is perfect for entertaining and casual living. 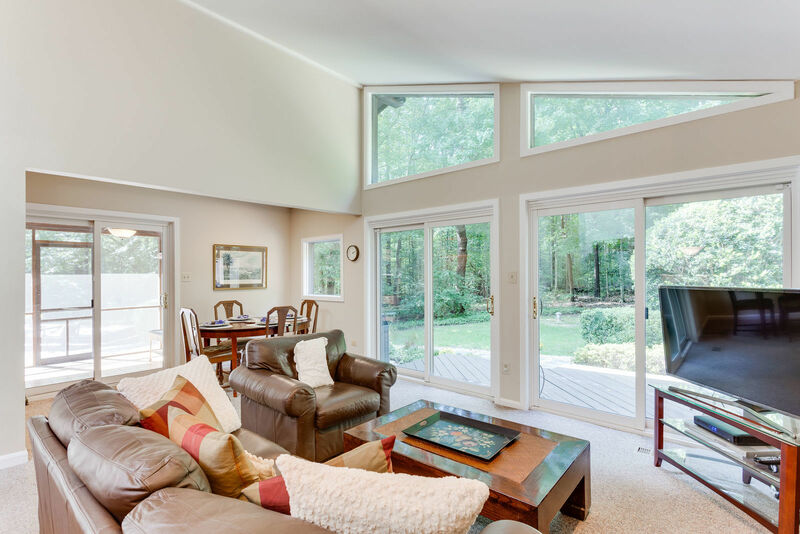 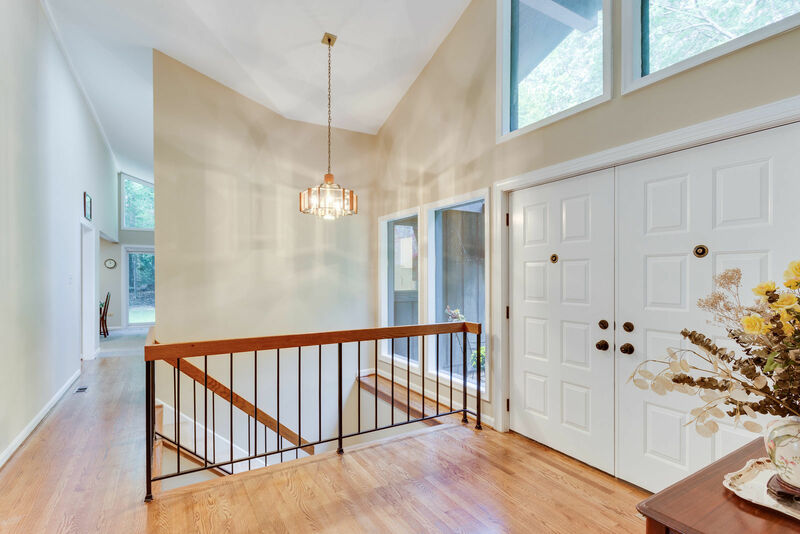 Entering the foyer, you are immediately drawn to the living room and dining room glass doors displaying expansive views of the stunning natural surroundings. 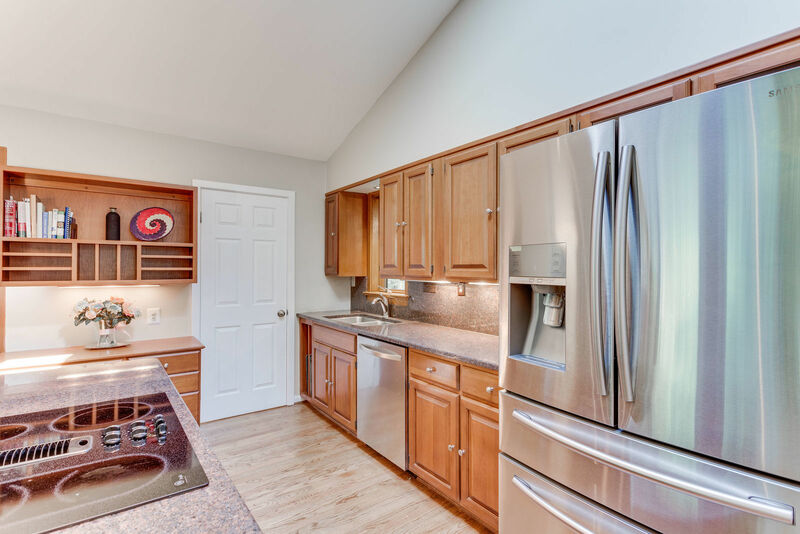 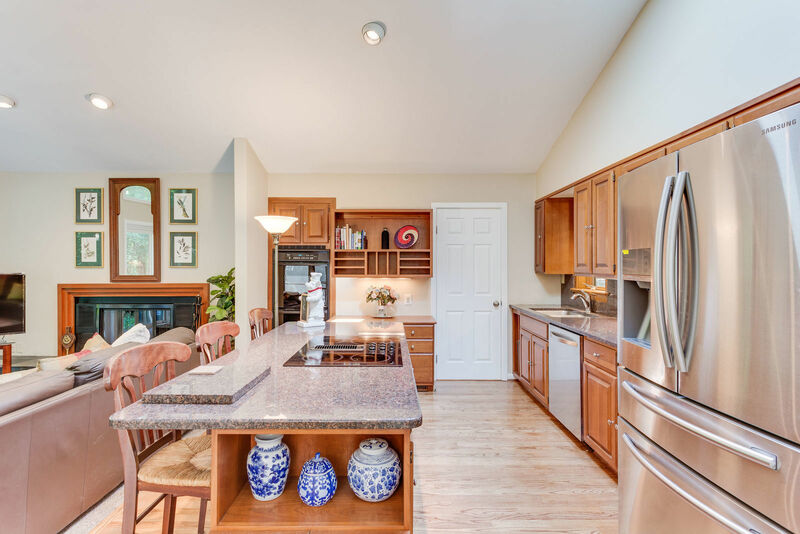 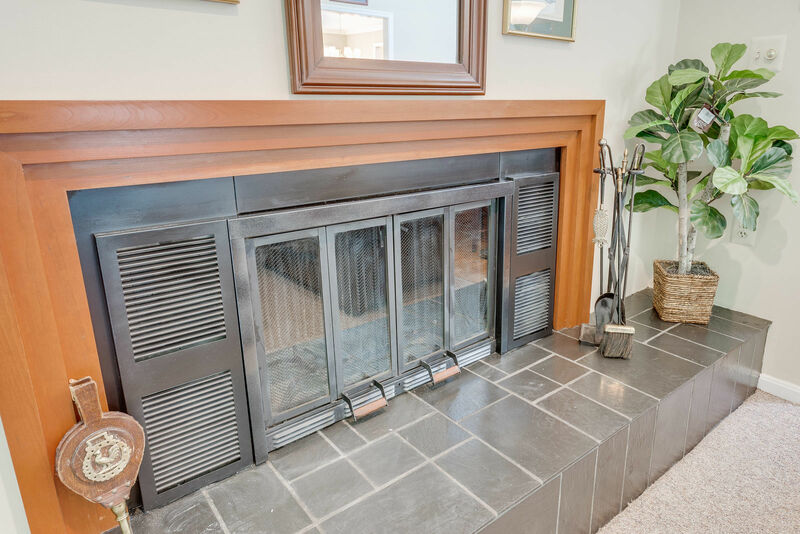 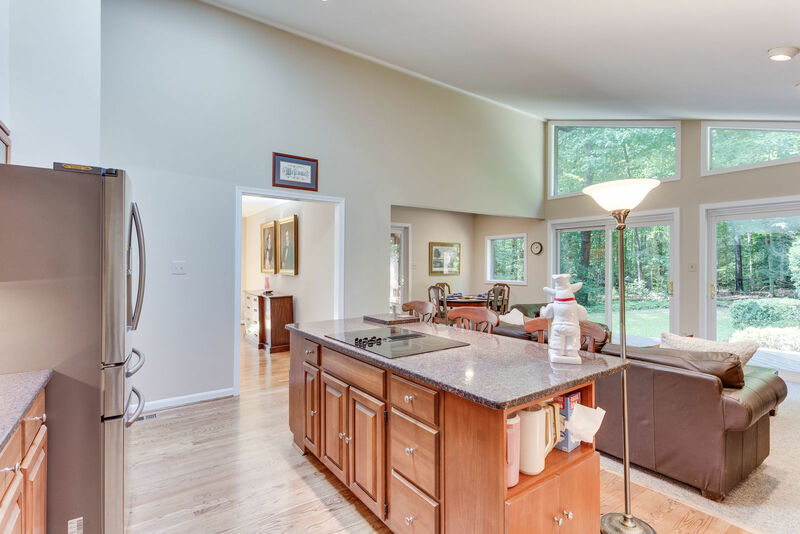 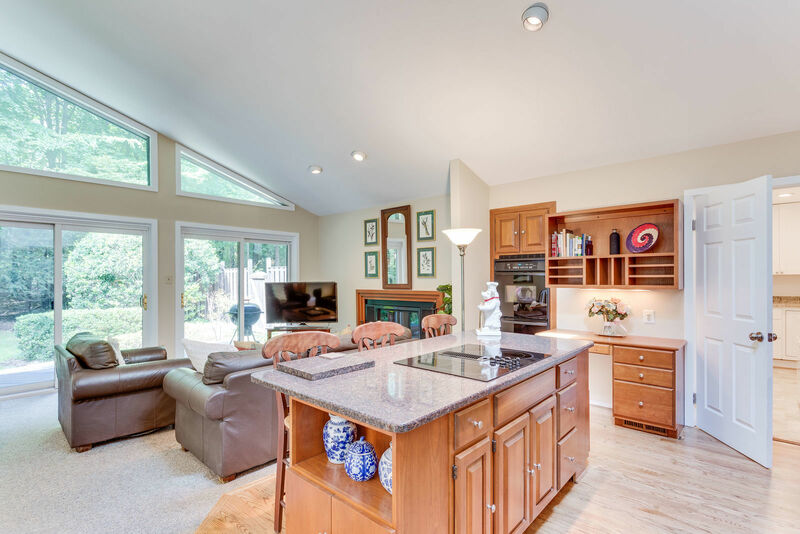 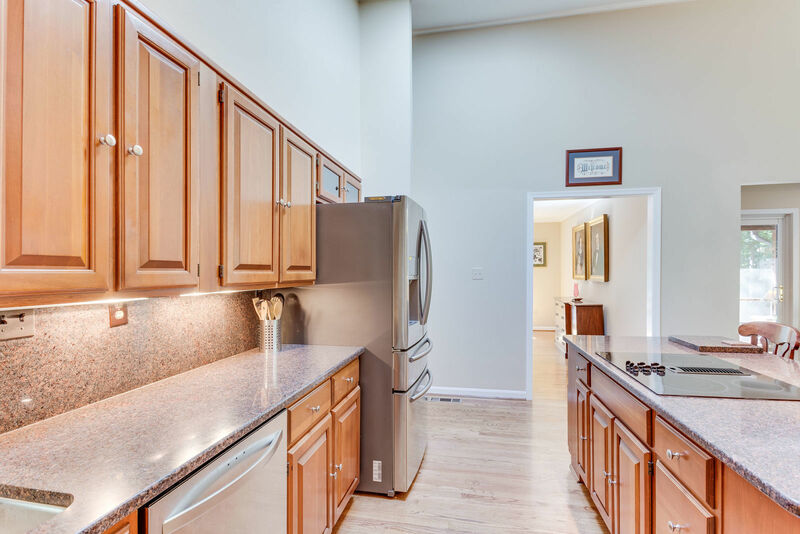 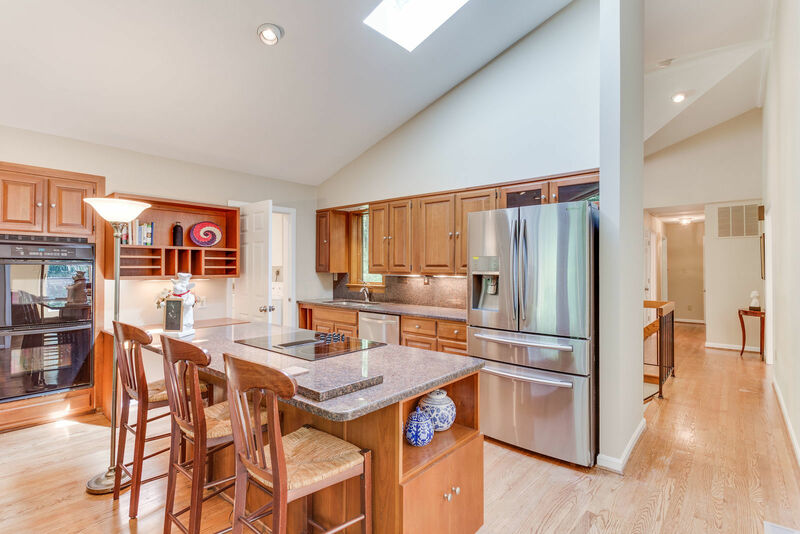 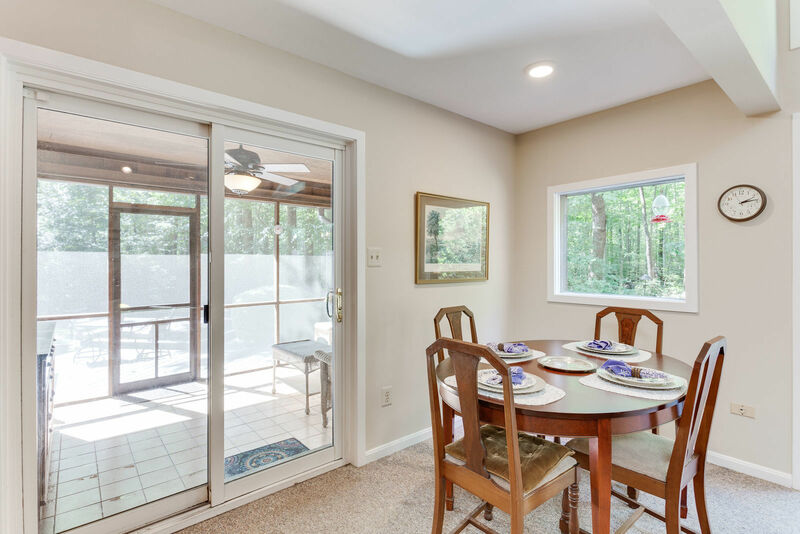 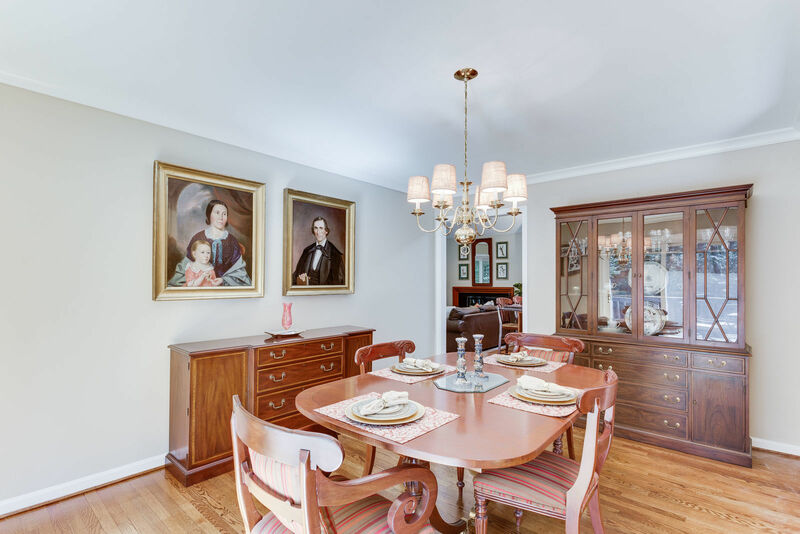 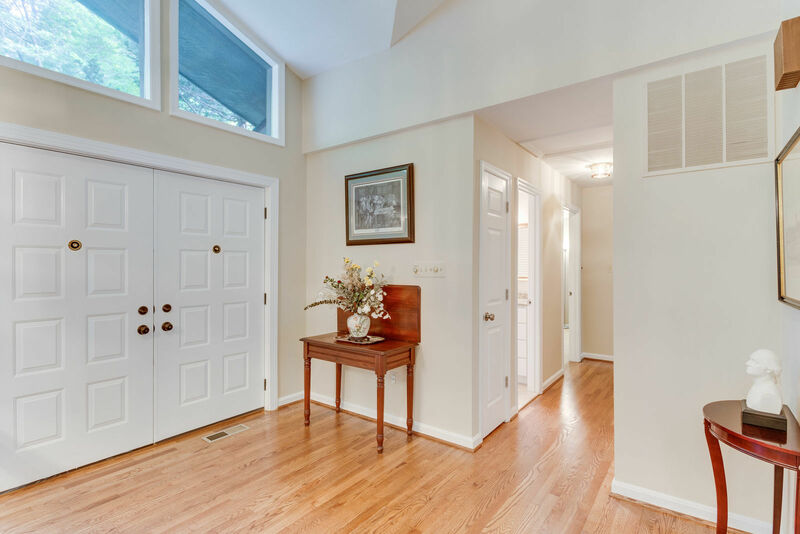 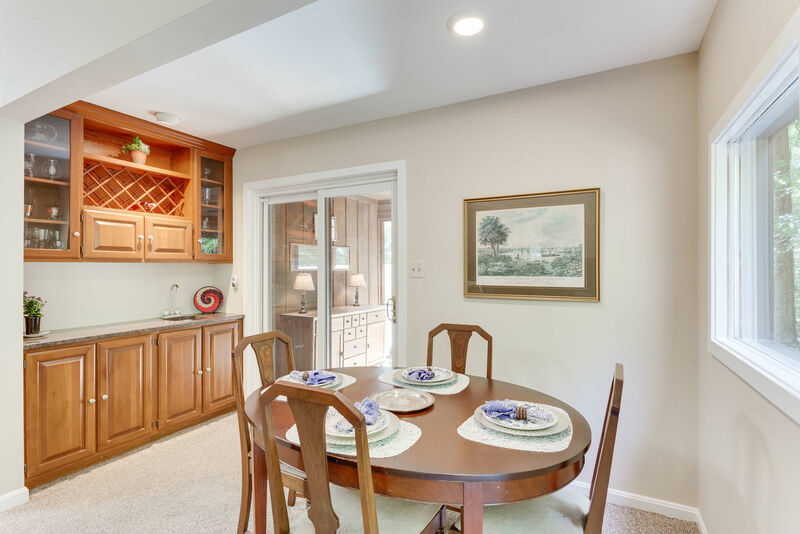 The updated kitchen with granite counters, cook island, and built-in desk flows seamlessly into the breakfast room (which opens to the screened porch), butler's pantry and family room featuring a raised hearth wood-burning fireplace. 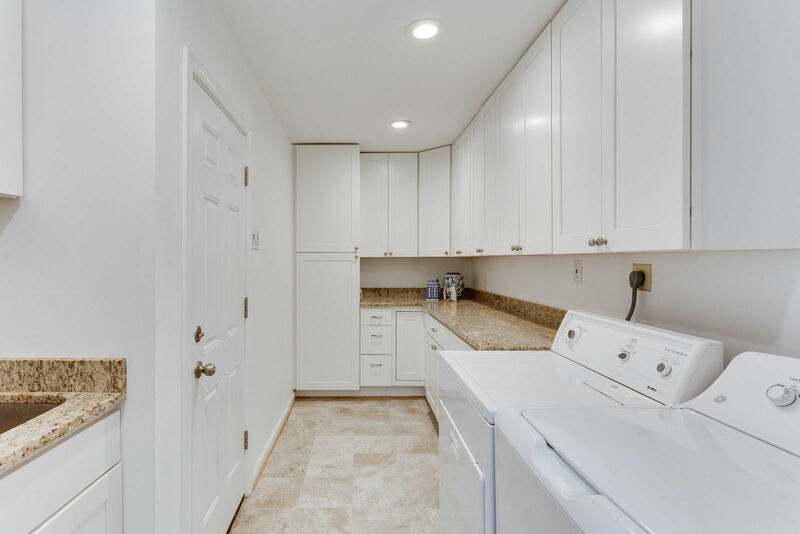 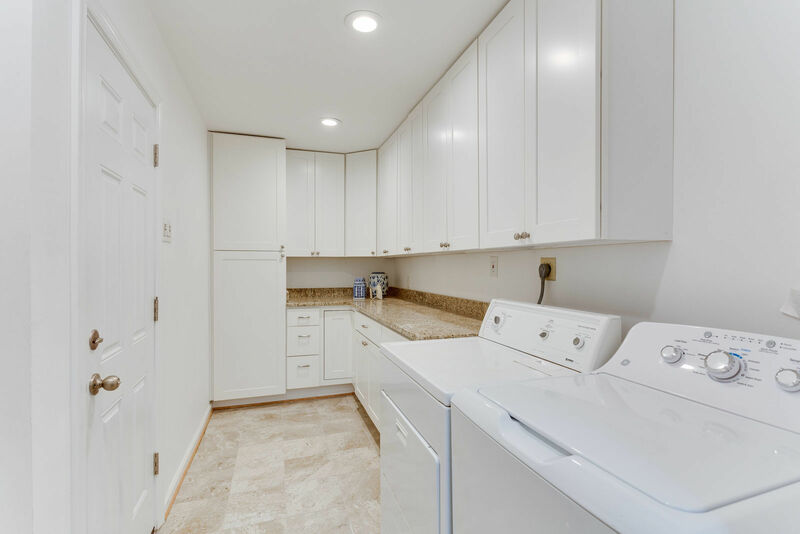 Off the kitchen, is a large updated laundry room with lots of cabinets, counter space, a utility sink and garage access. 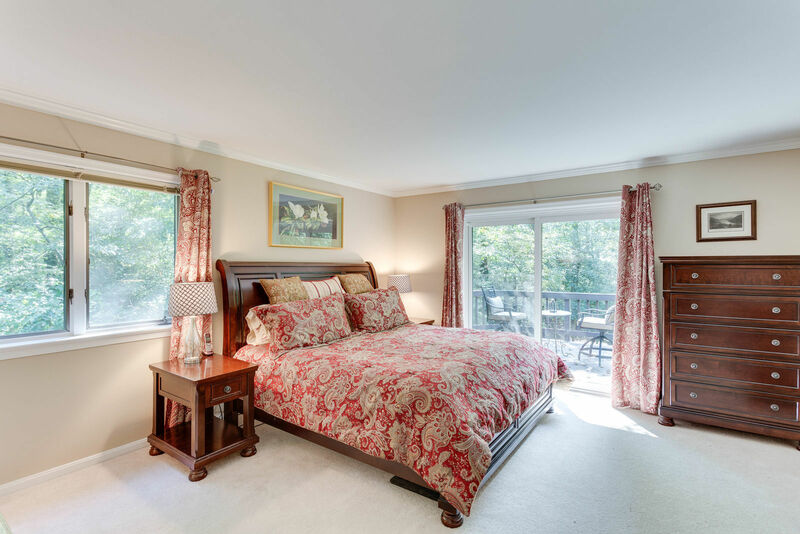 The main level features the master bedroom with walk-in closet, updated bath and glass doors opening to a private balcony. 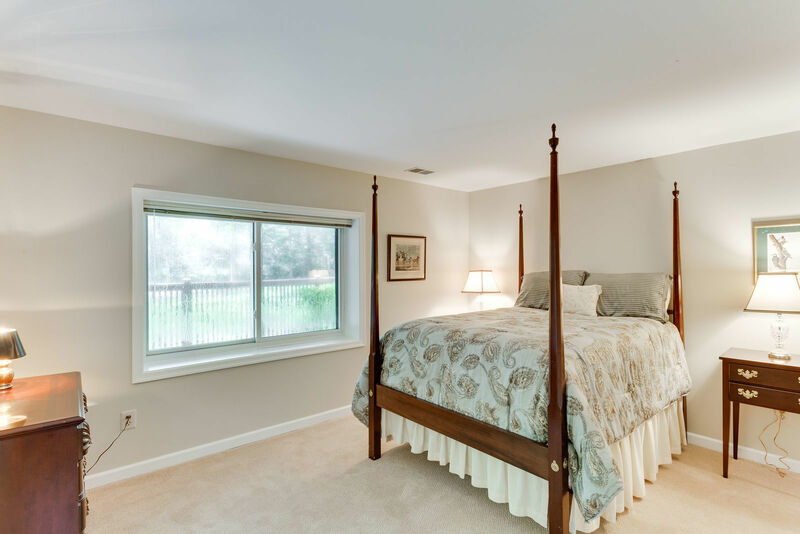 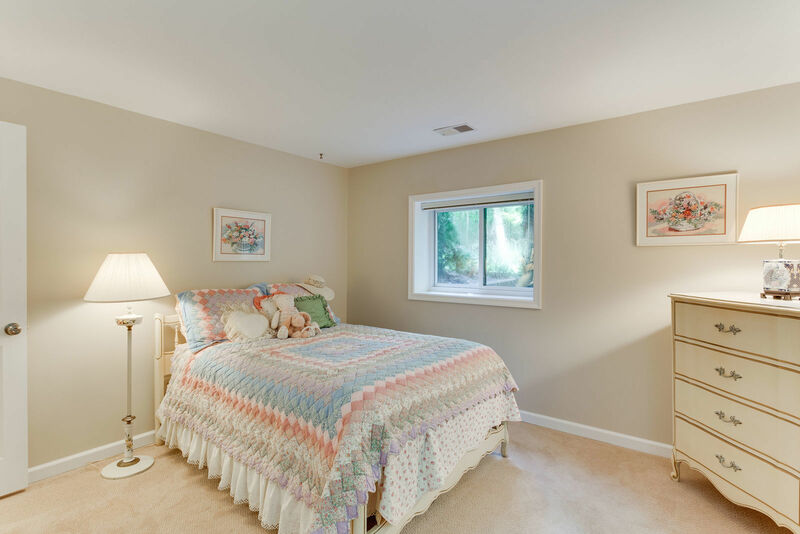 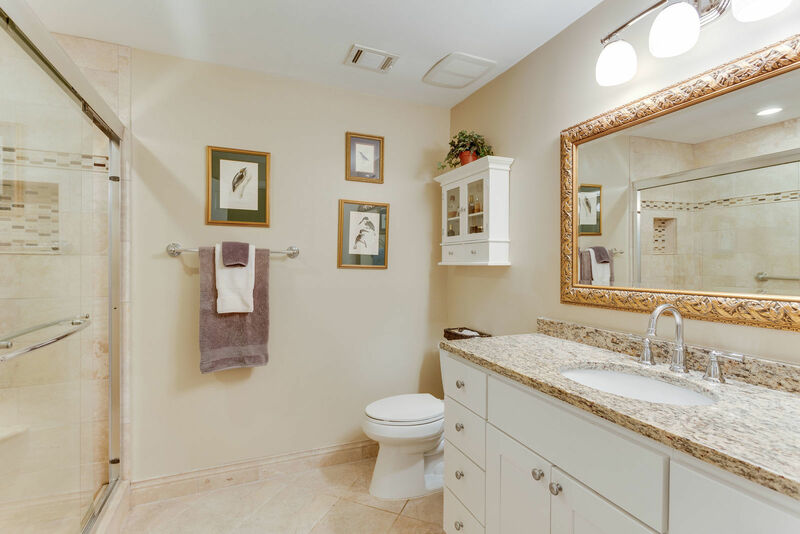 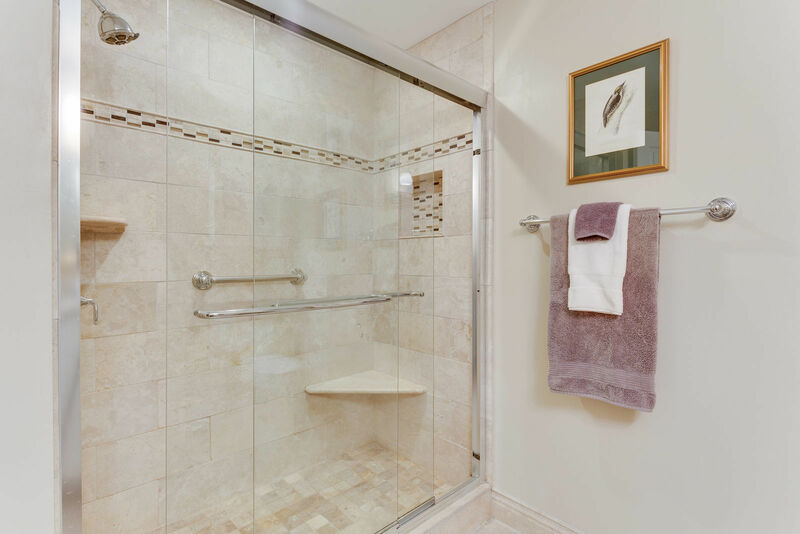 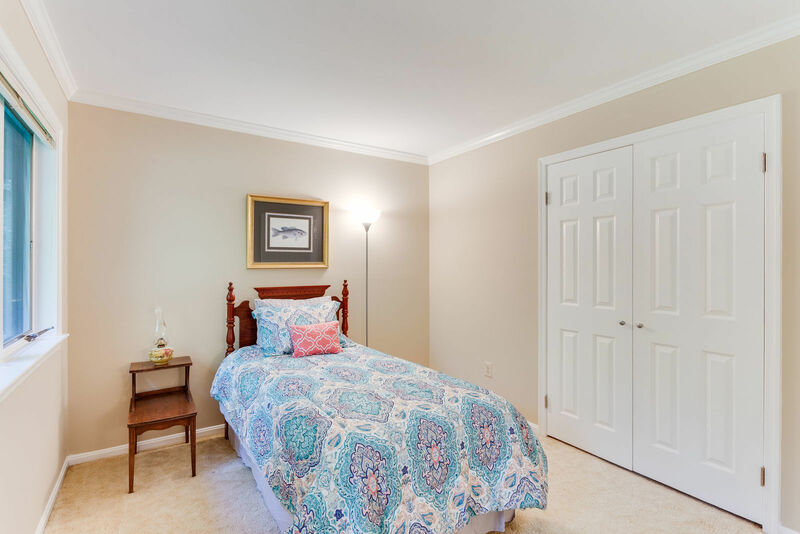 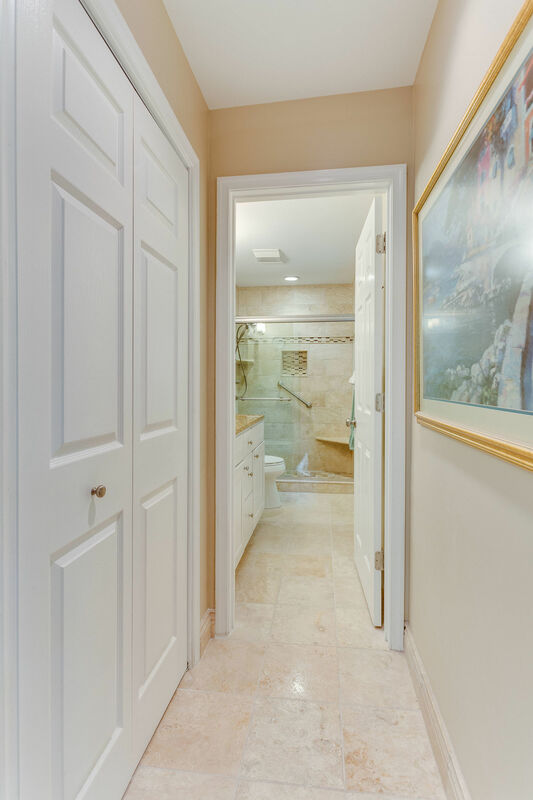 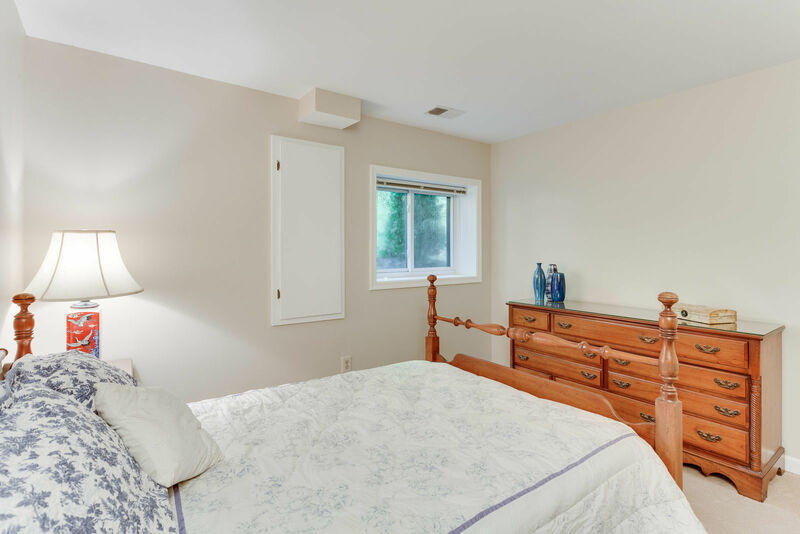 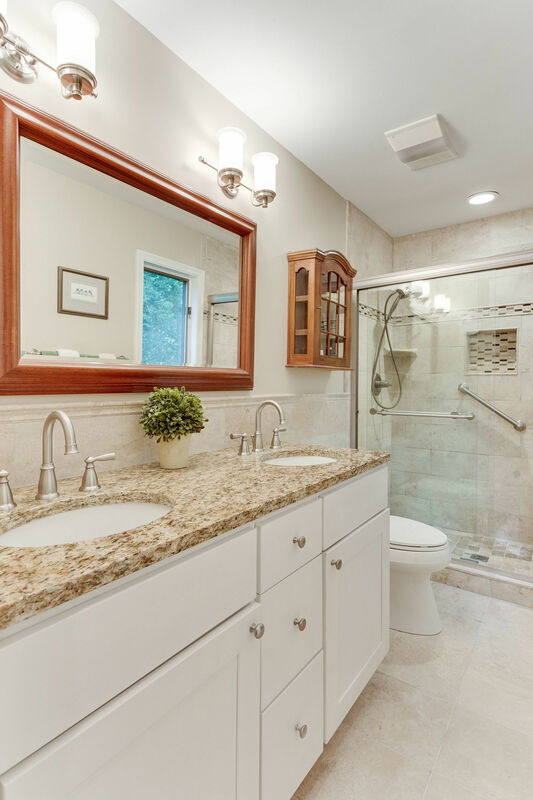 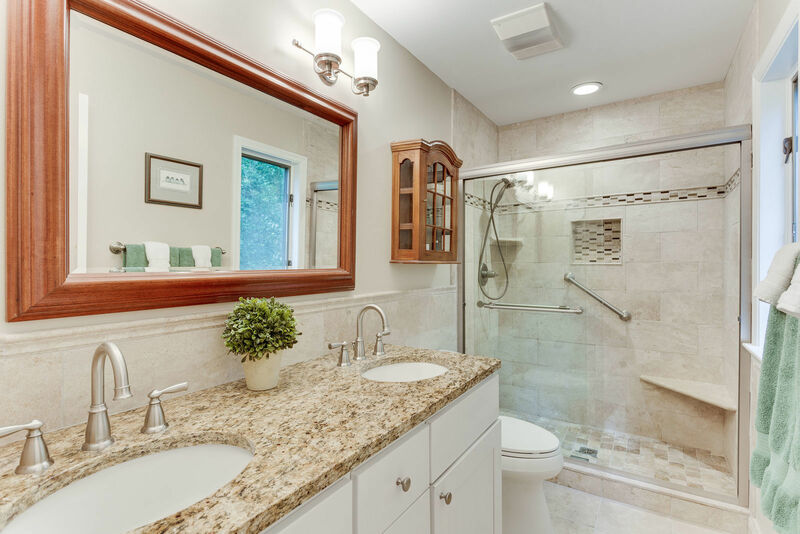 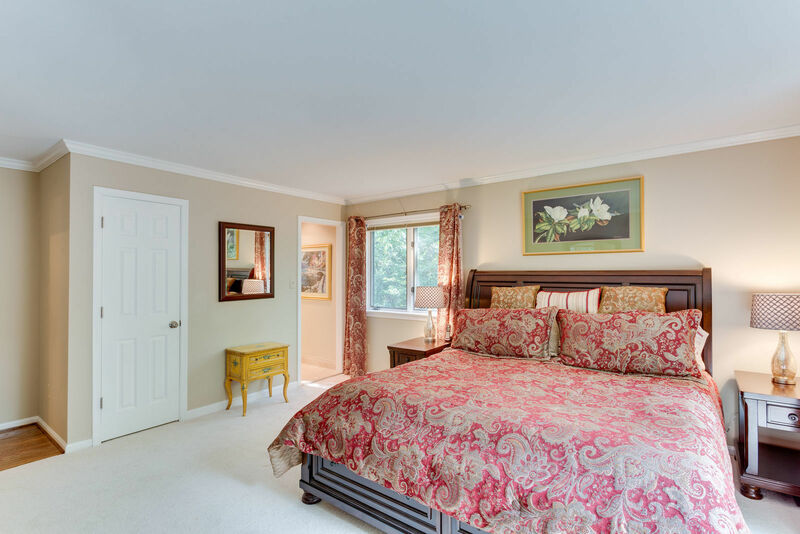 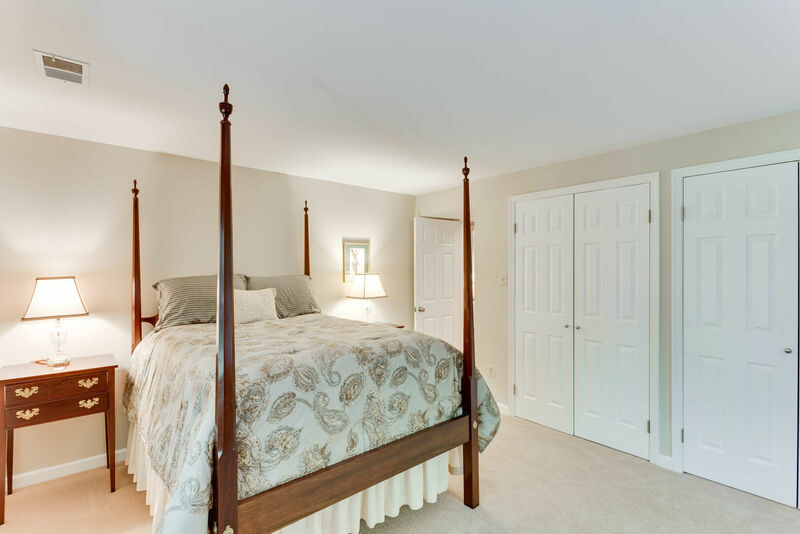 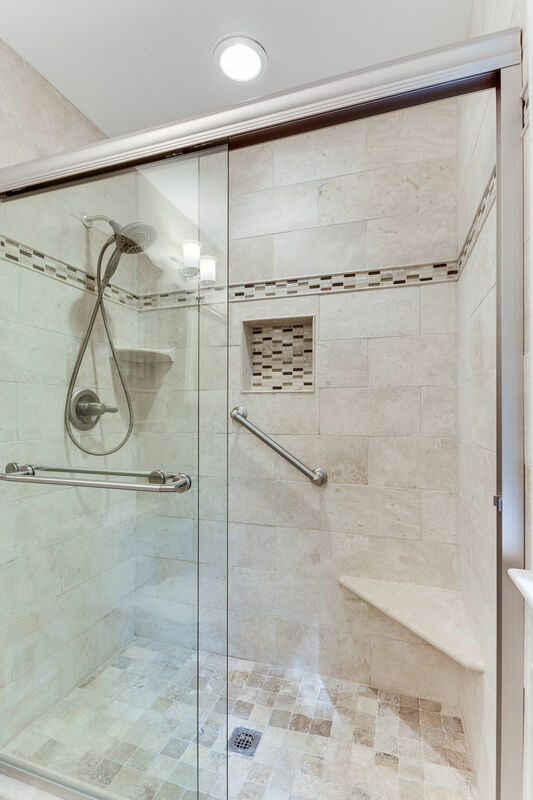 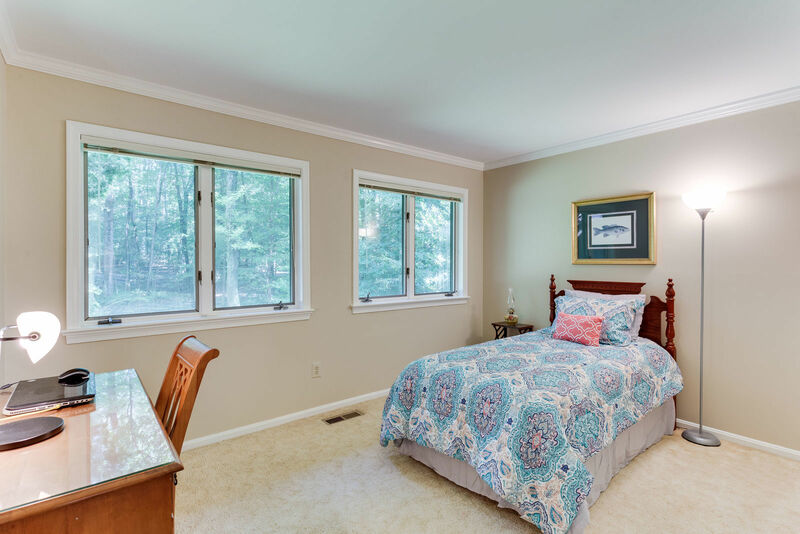 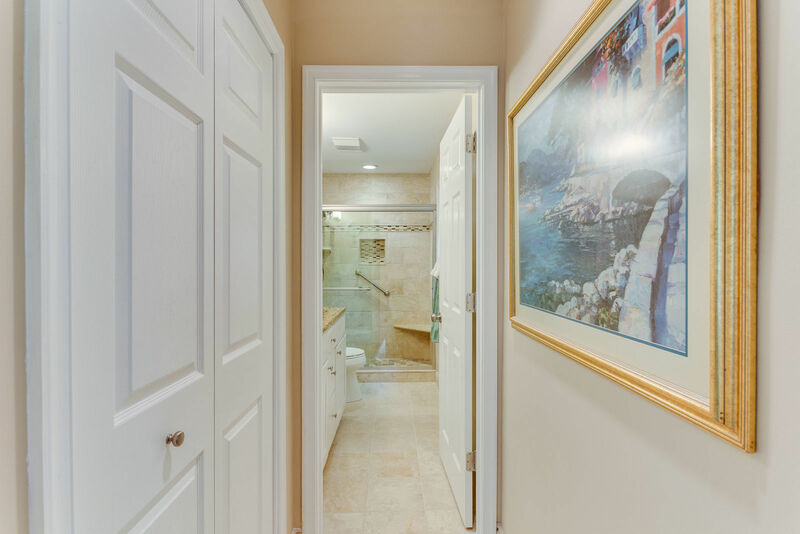 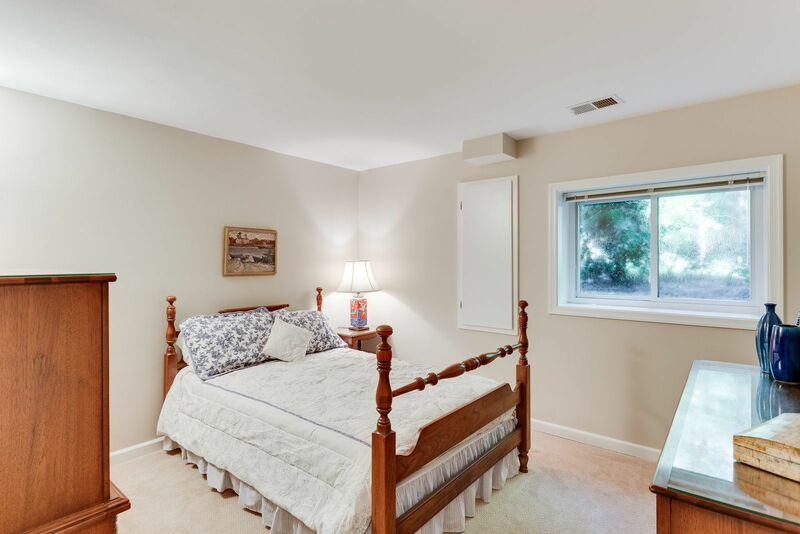 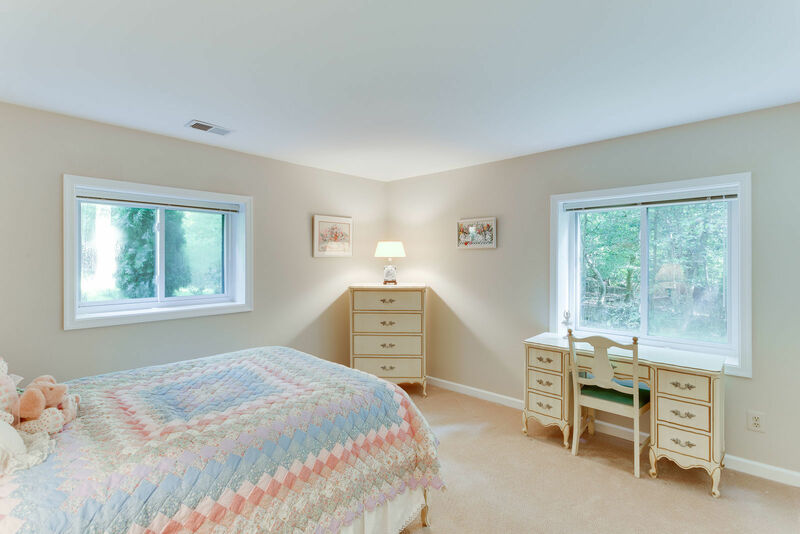 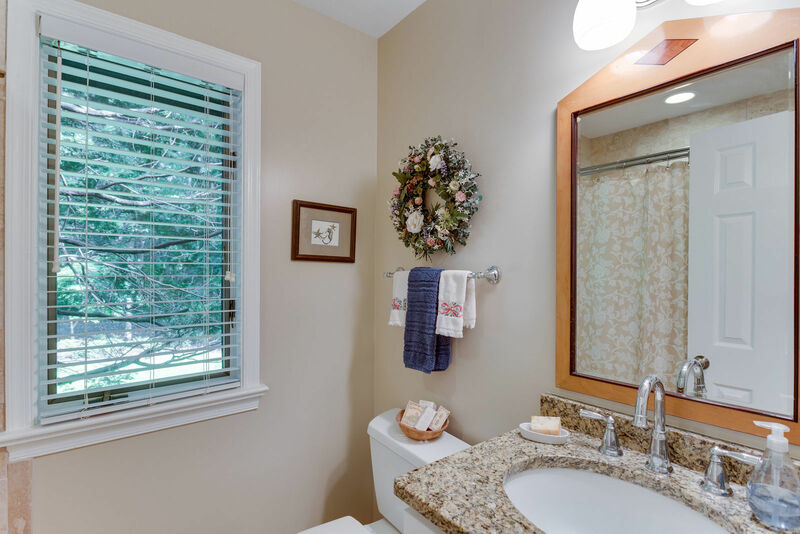 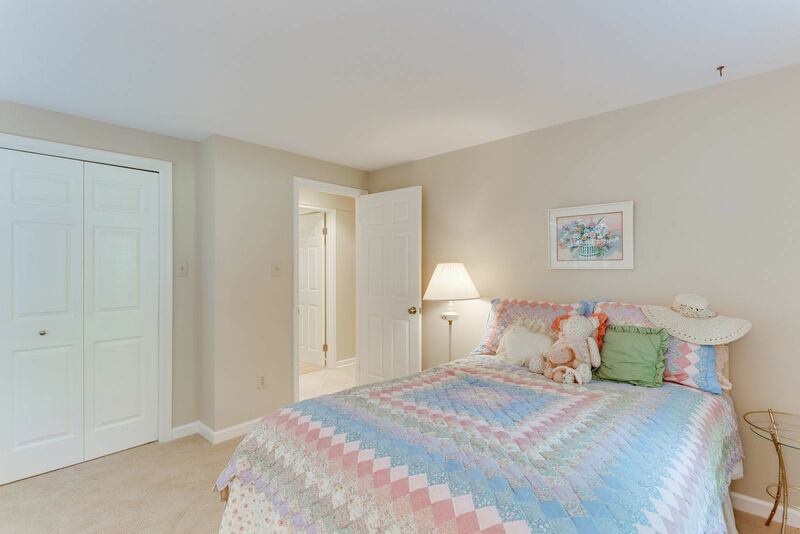 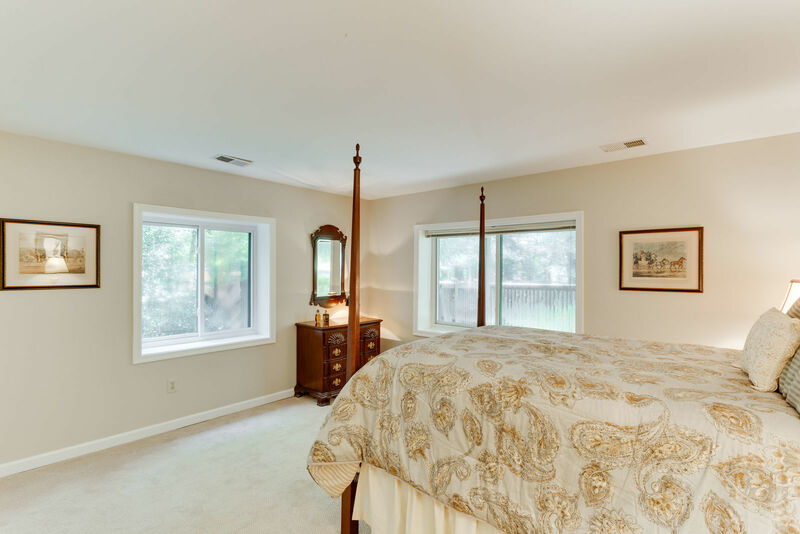 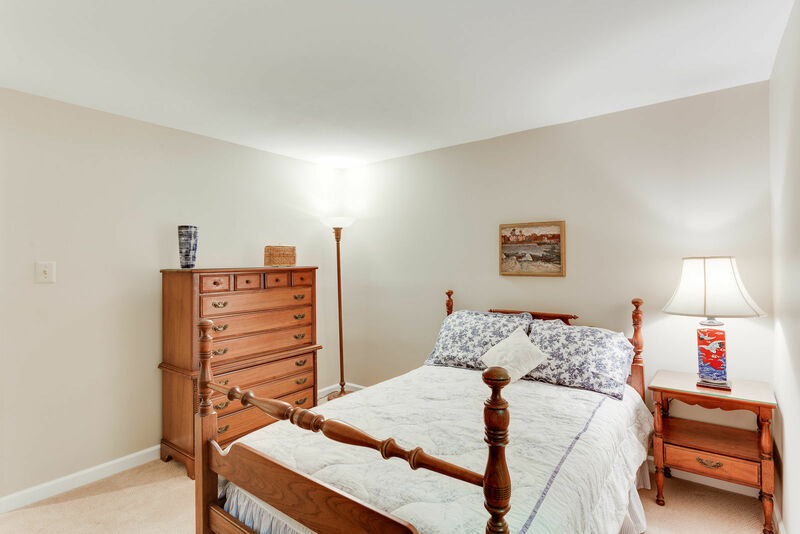 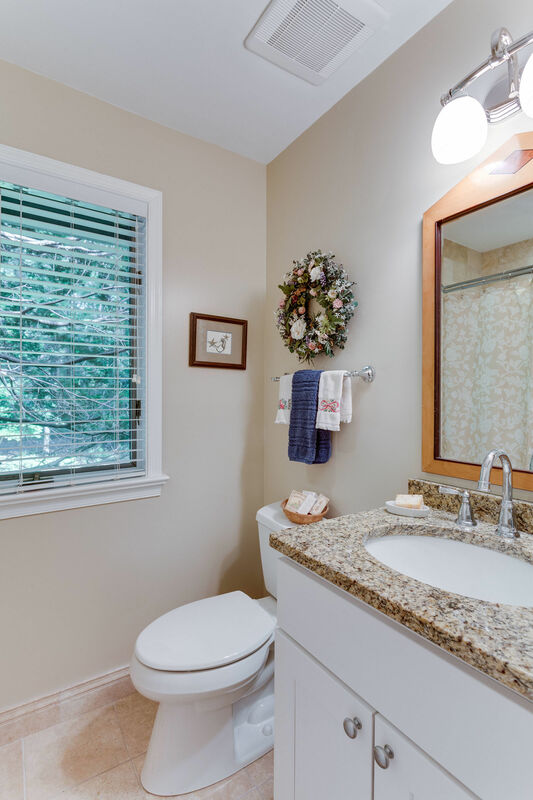 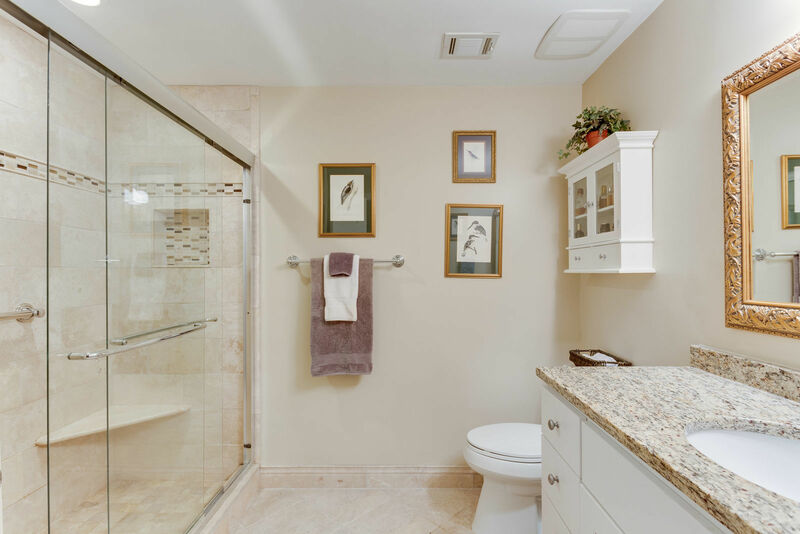 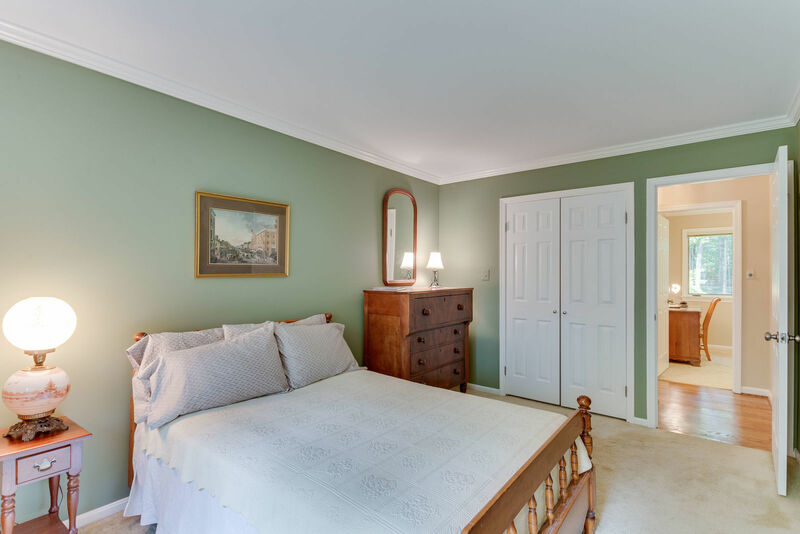 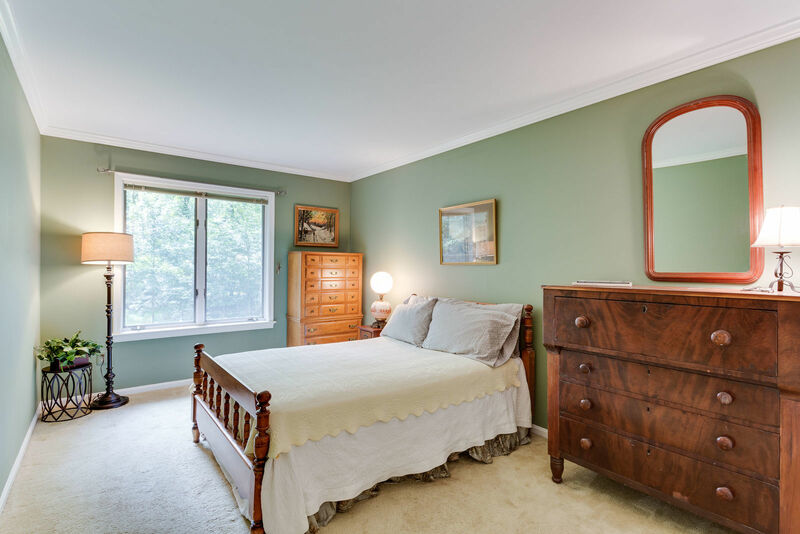 In addition, there are 2 other bedrooms and an updated bath. 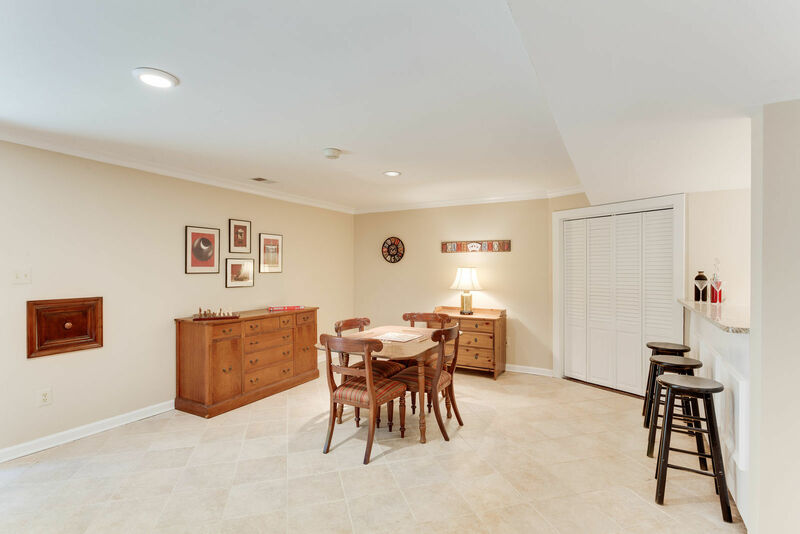 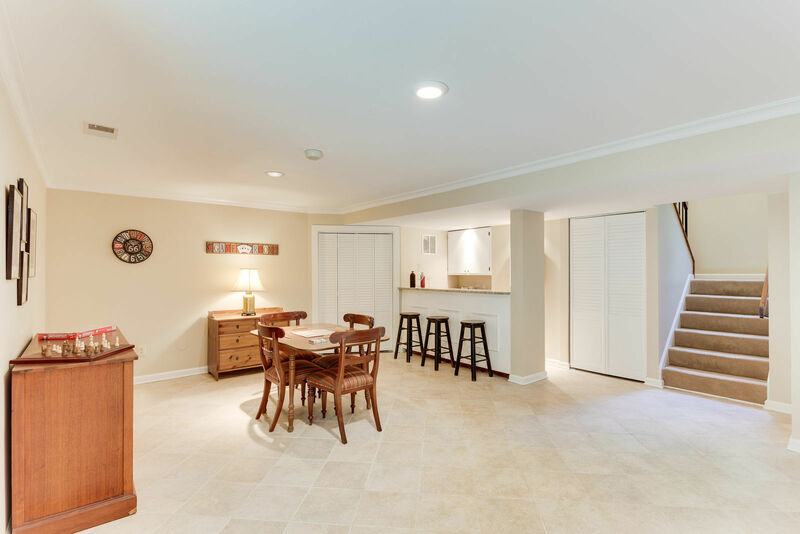 Down stairs there is a huge walk-out recreation room with a wet bar, an updated bath, 2 more bedrooms, a den and a utility/storage room with loads of space. 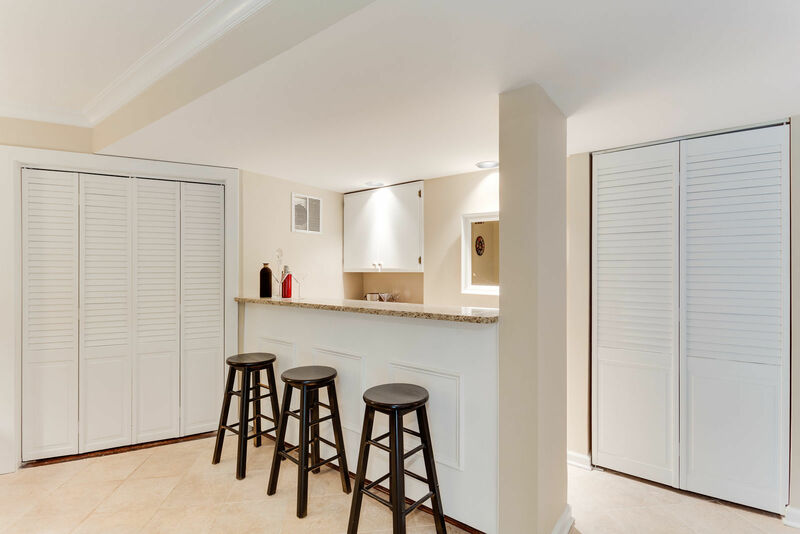 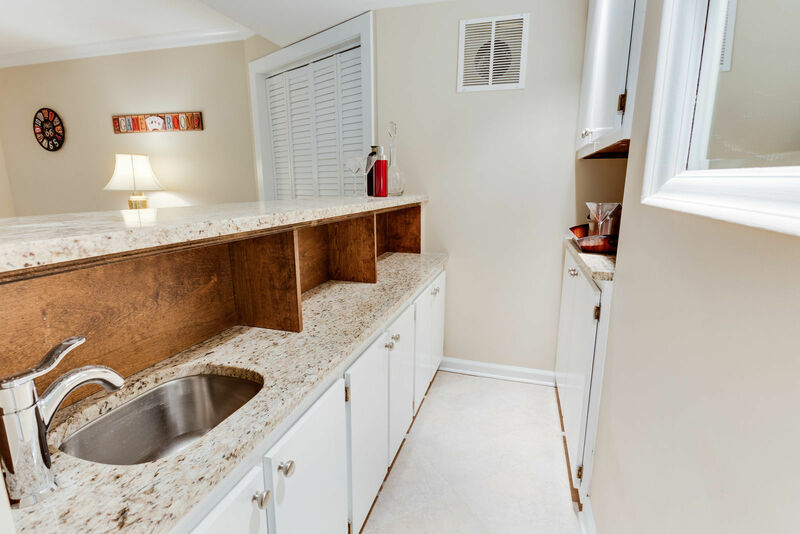 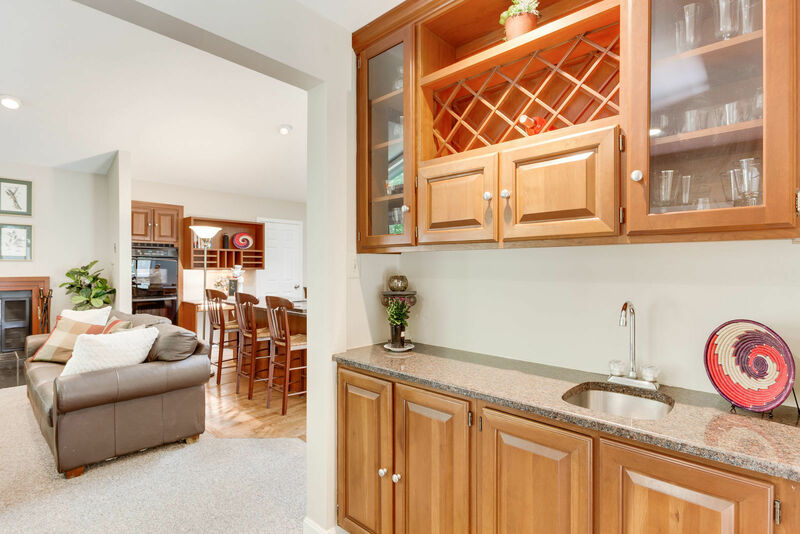 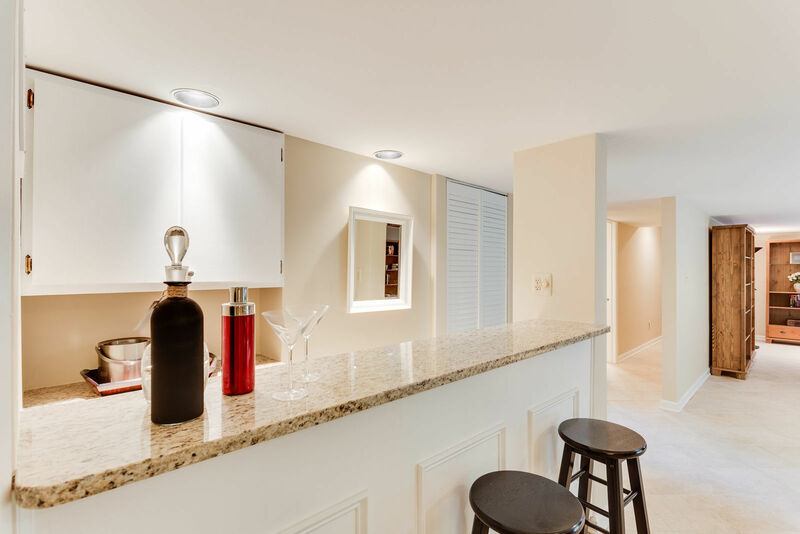 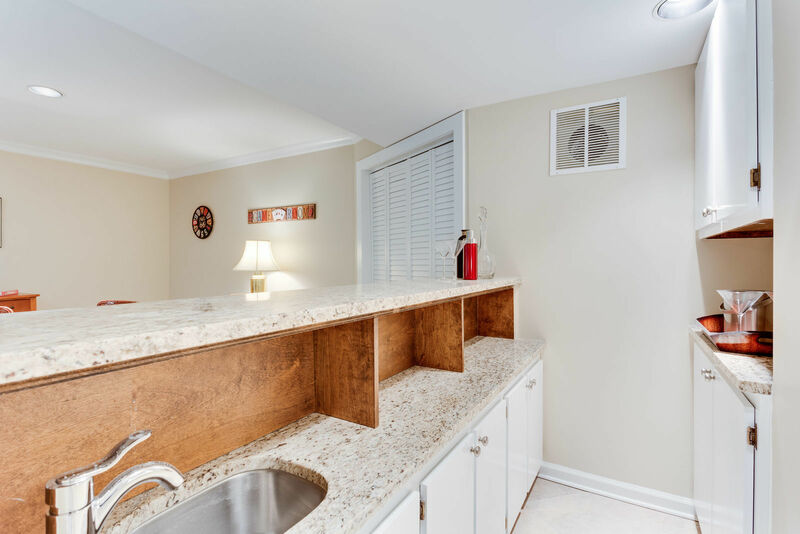 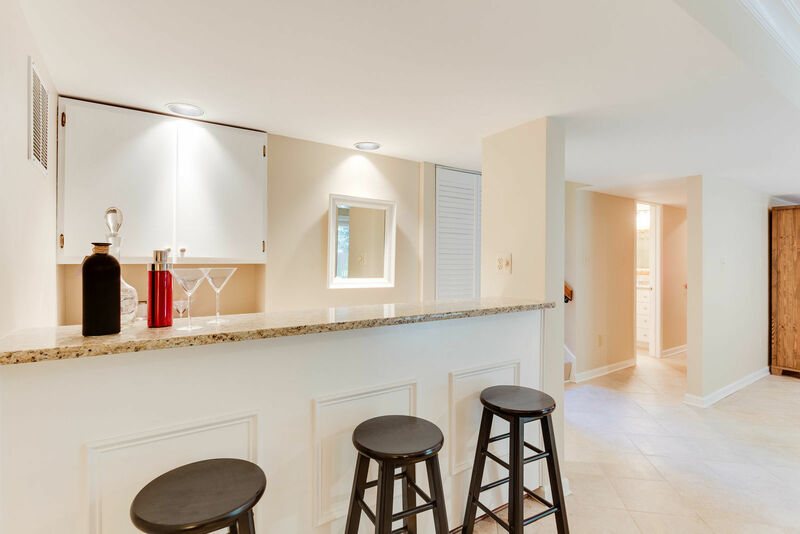 Don't miss the extra storage closet next to the wet bar. 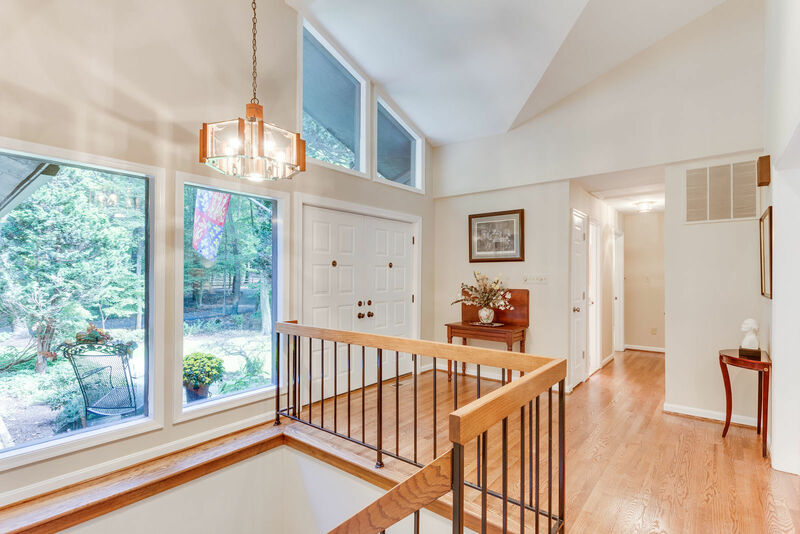 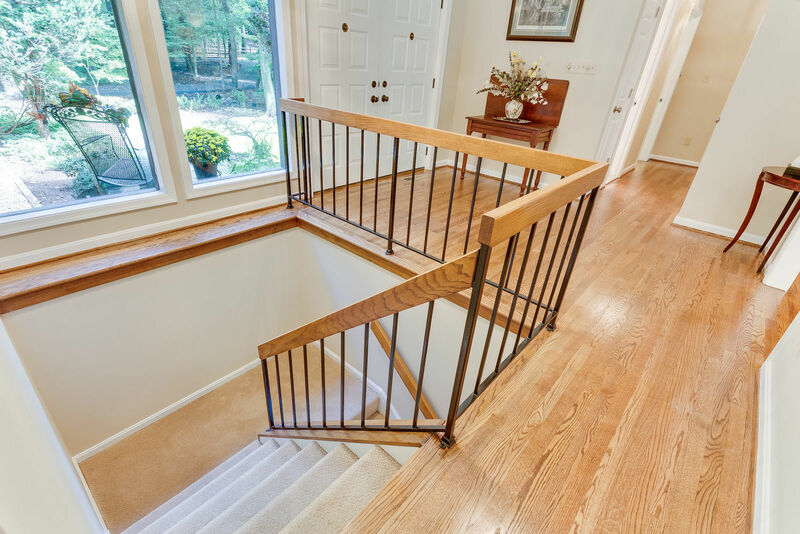 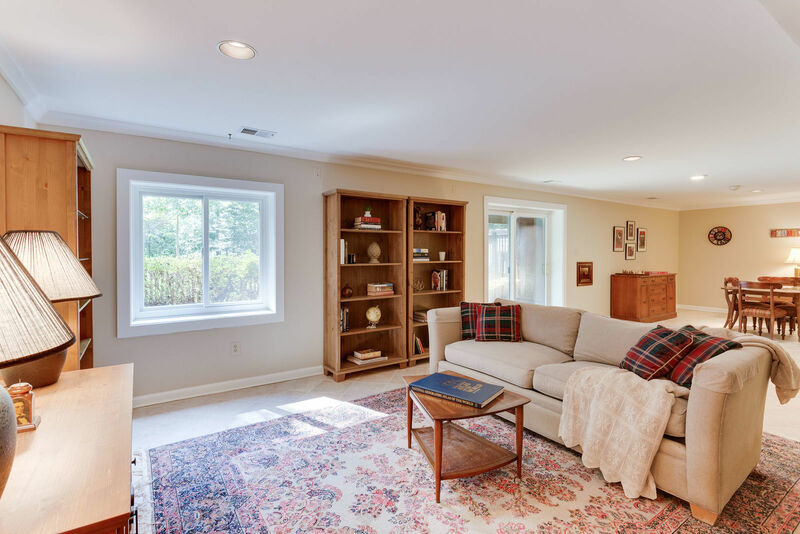 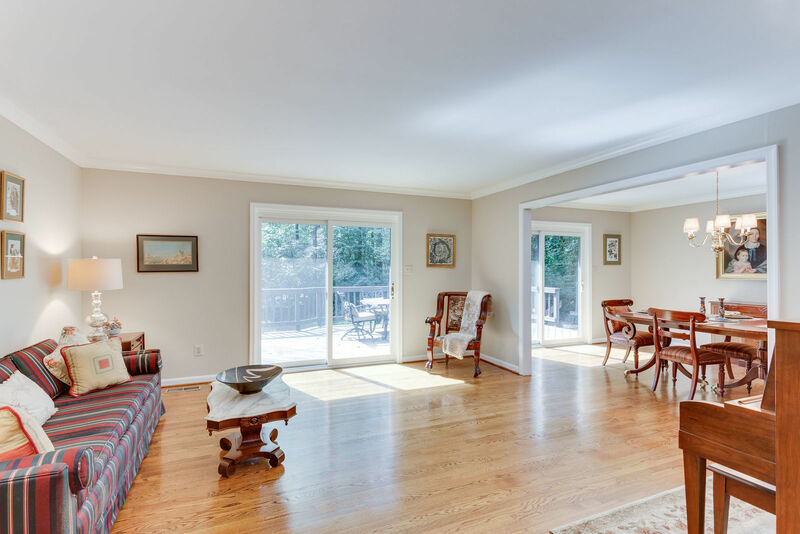 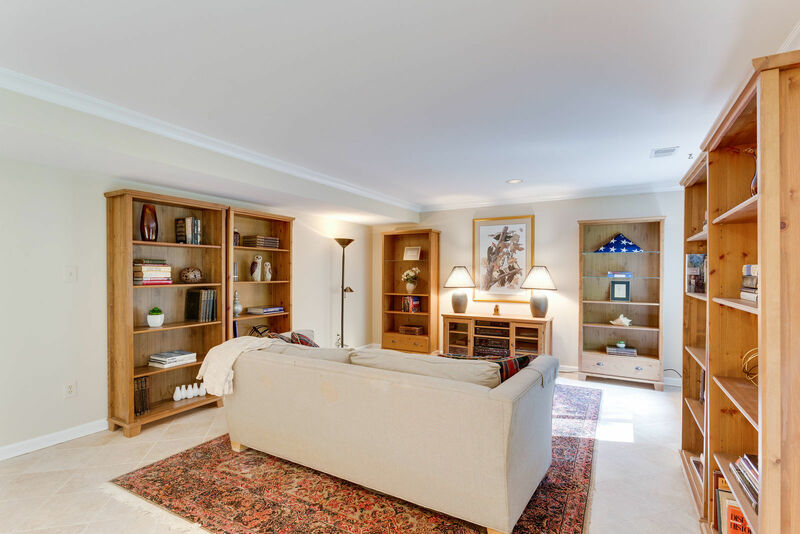 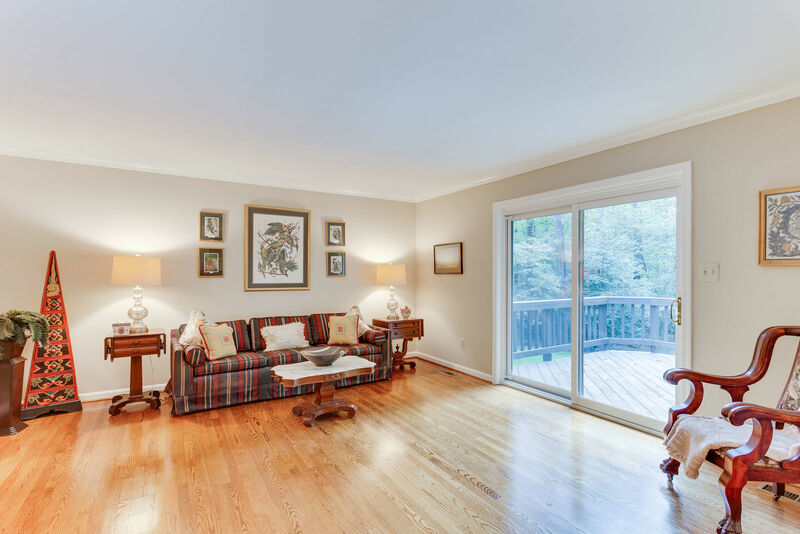 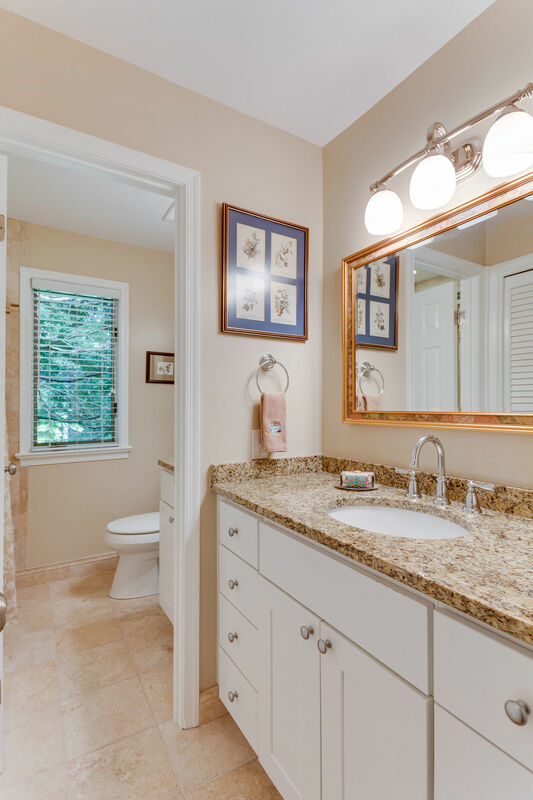 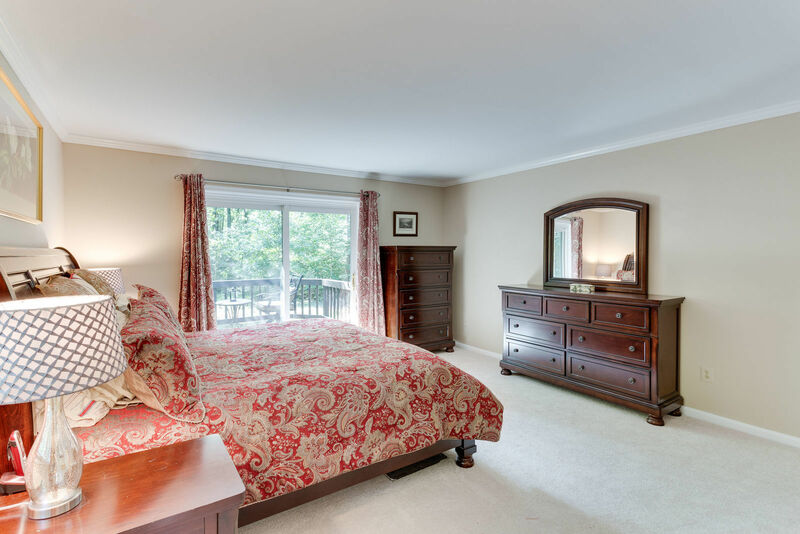 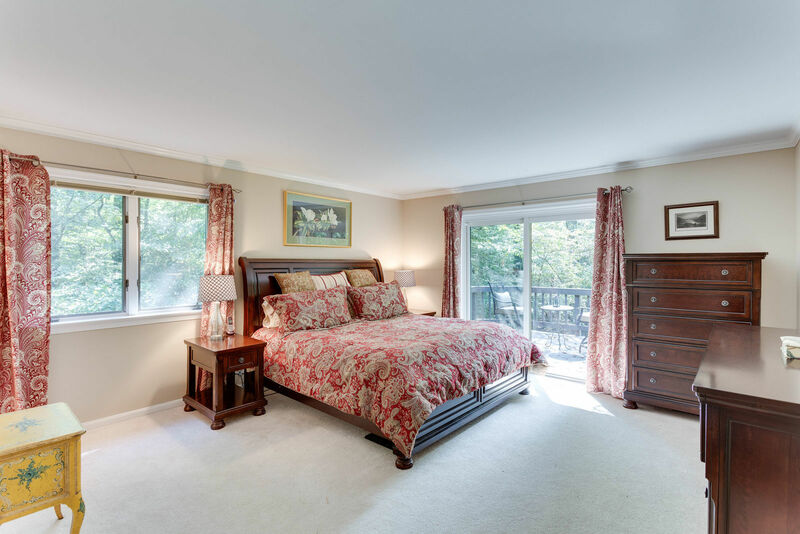 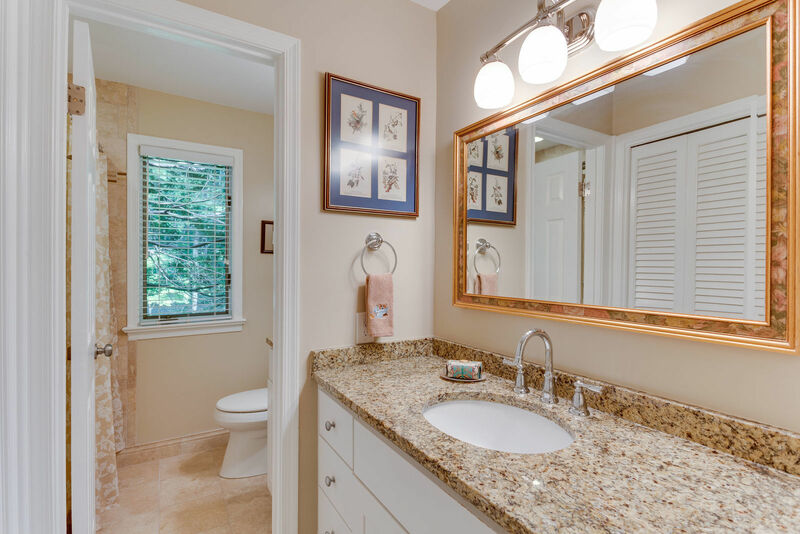 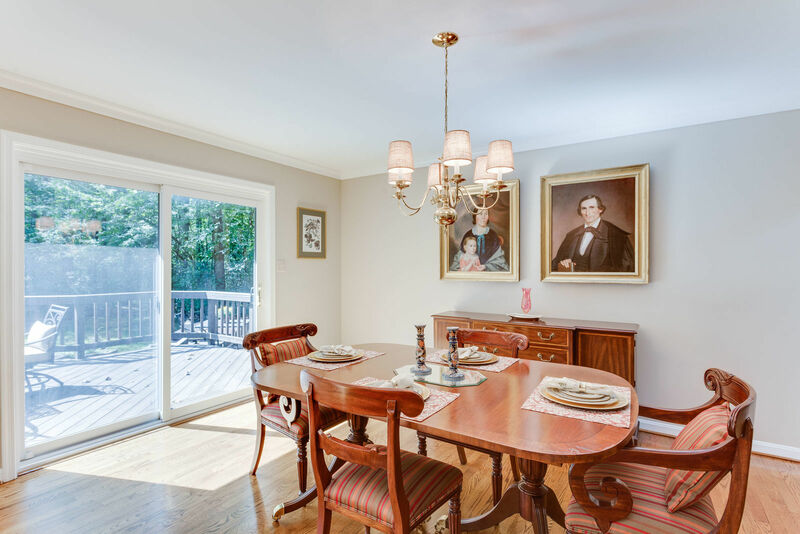 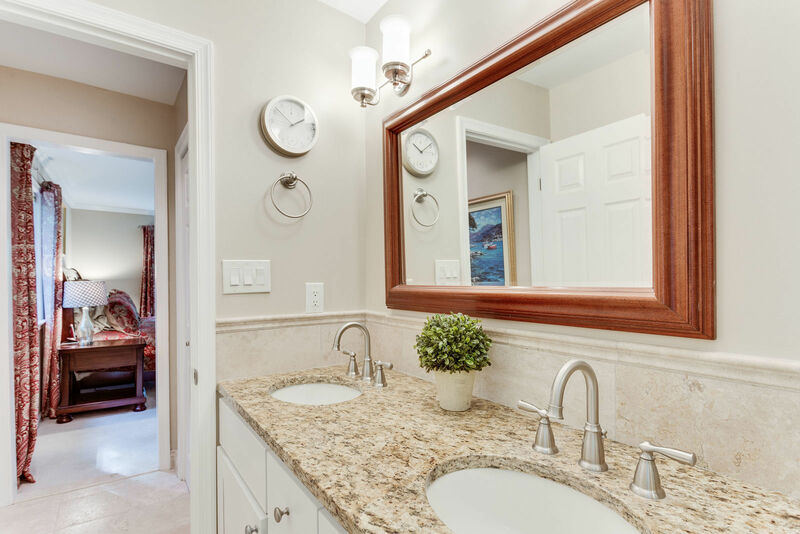 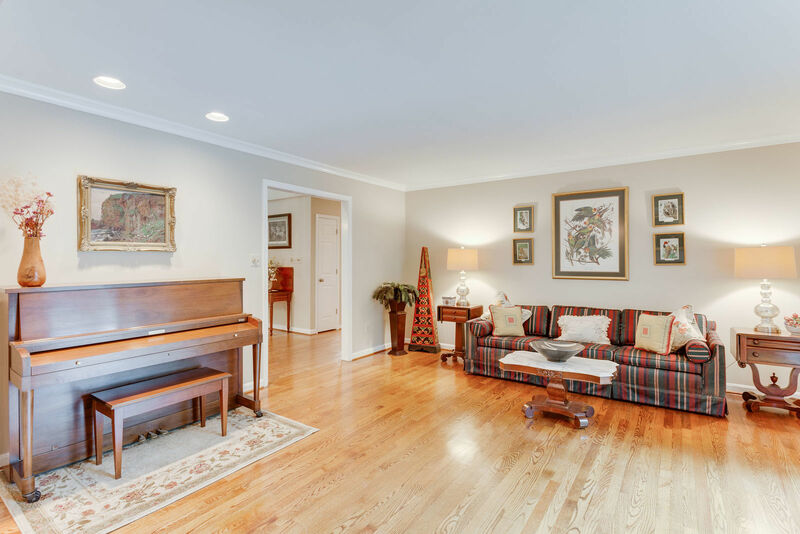 Commuters will appreciate the close proximity to 495, 123, Fairfax County Parkway & several VRE stations. 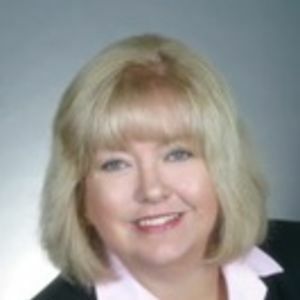 Enjoy plenty of shopping, dining, entertainment options and, in addition, the Historic towns of Clifton and Occoquan. 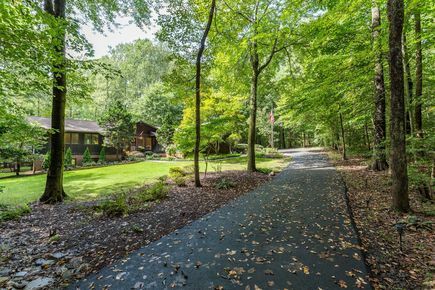 Burke Lake Park with year-round access and nature-based activities is just a short walk away. 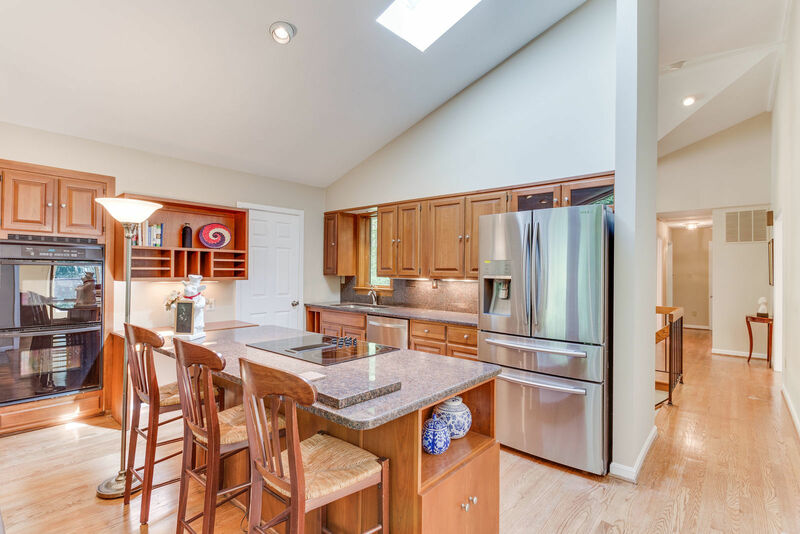 Eagle Bank Arena, located on the nearby George Mason University campus, features sporting events and entertainment opportunities for endless enjoyment. 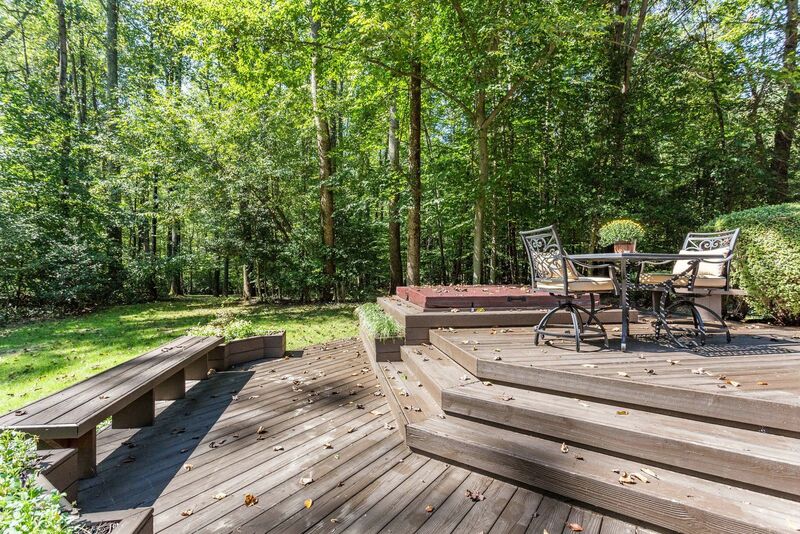 Outstanding design and stunning natural surroundings create an atmosphere of serenity and relaxation.